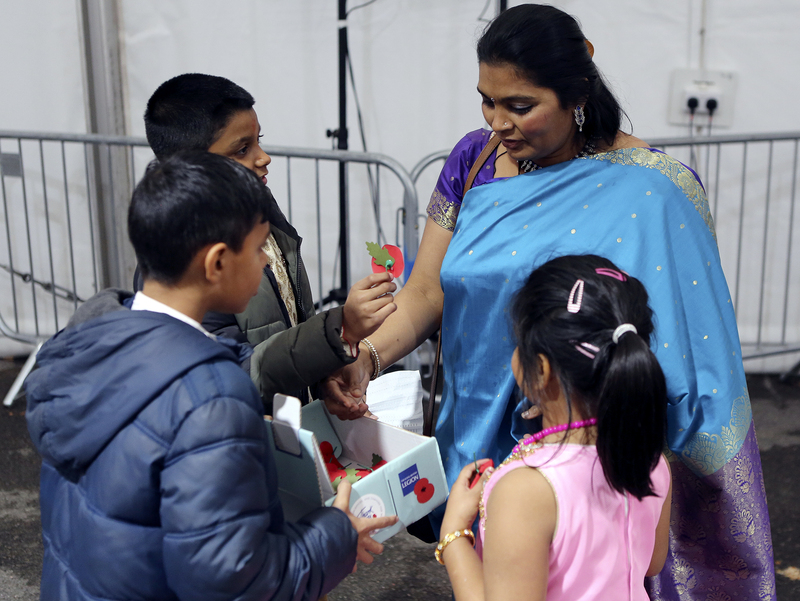 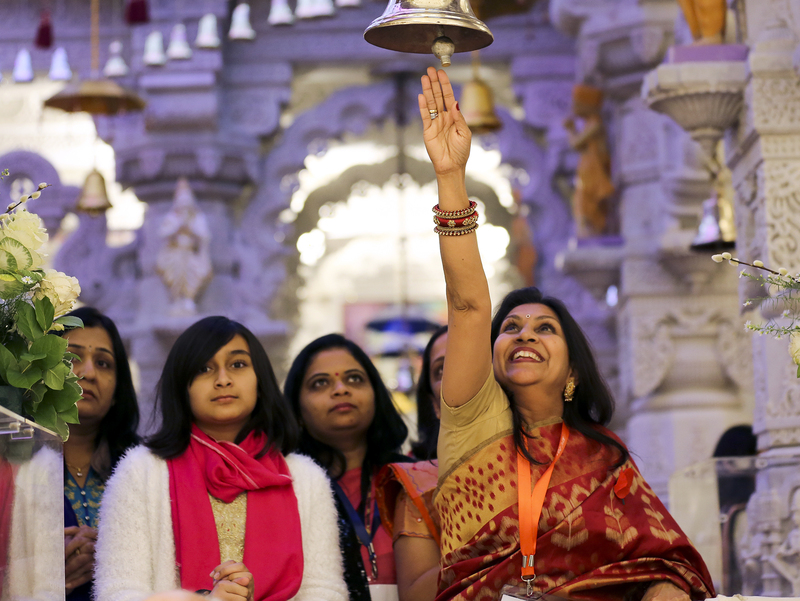 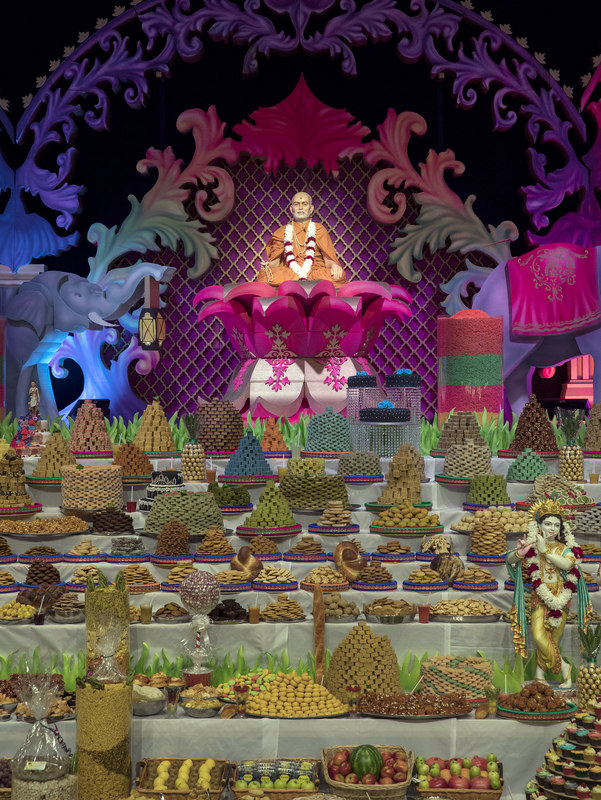 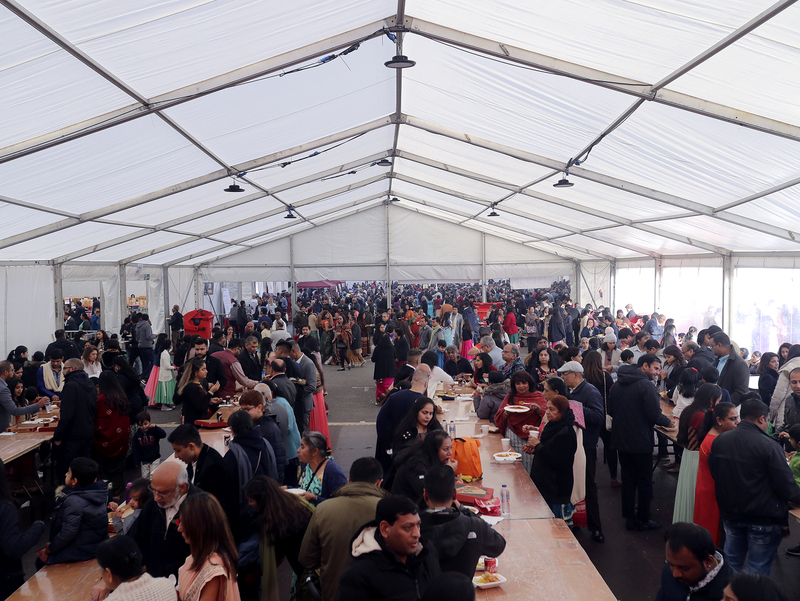 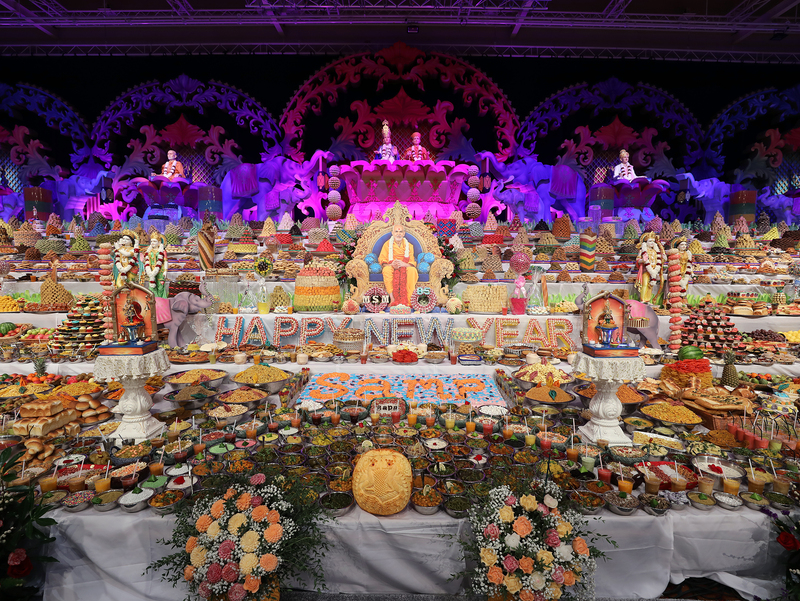 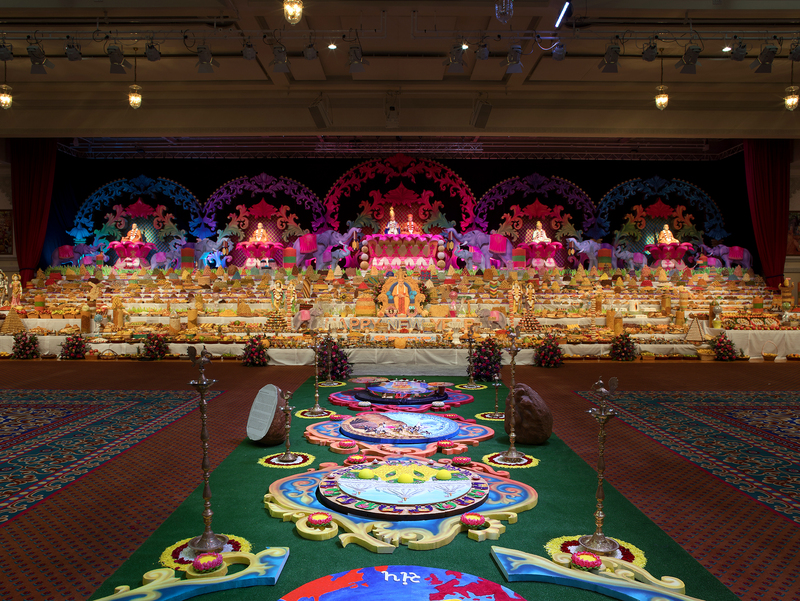 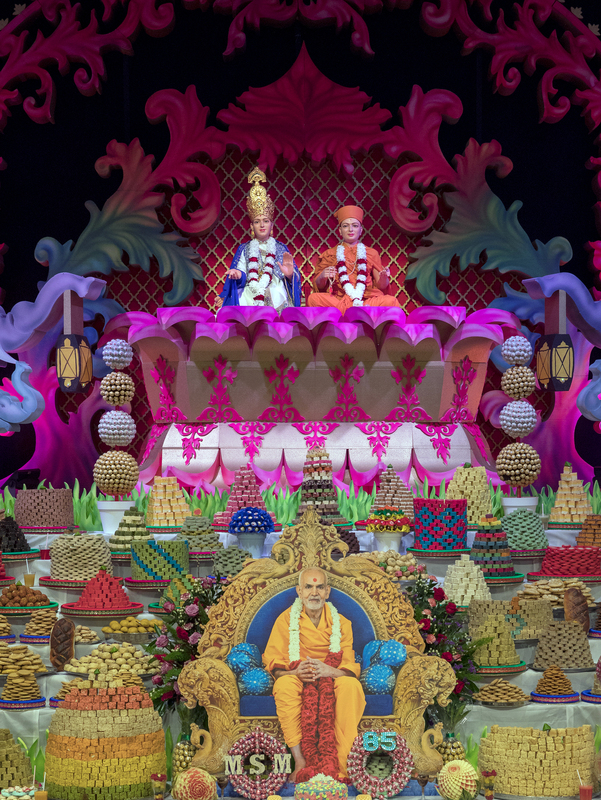 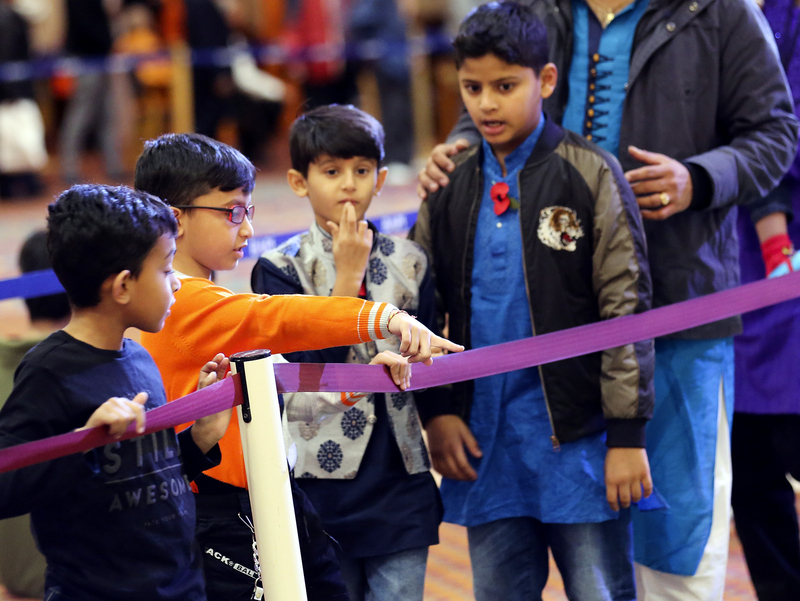 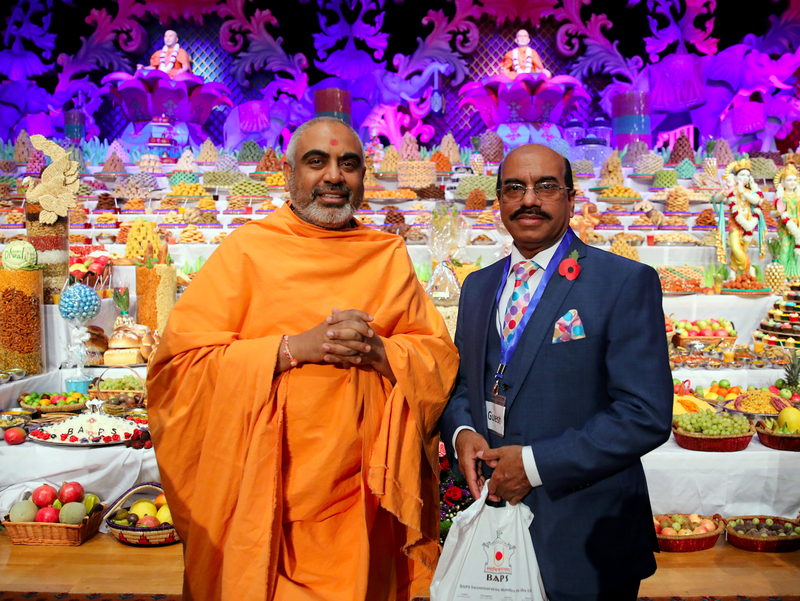 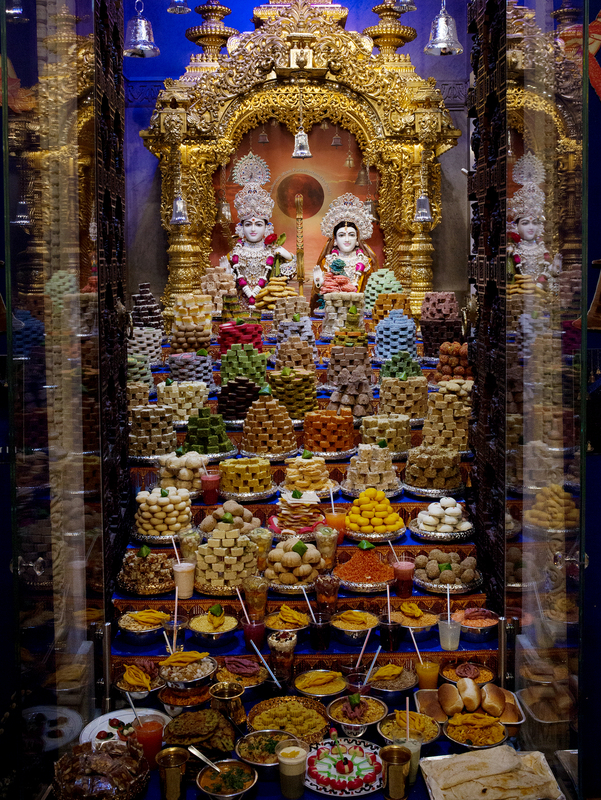 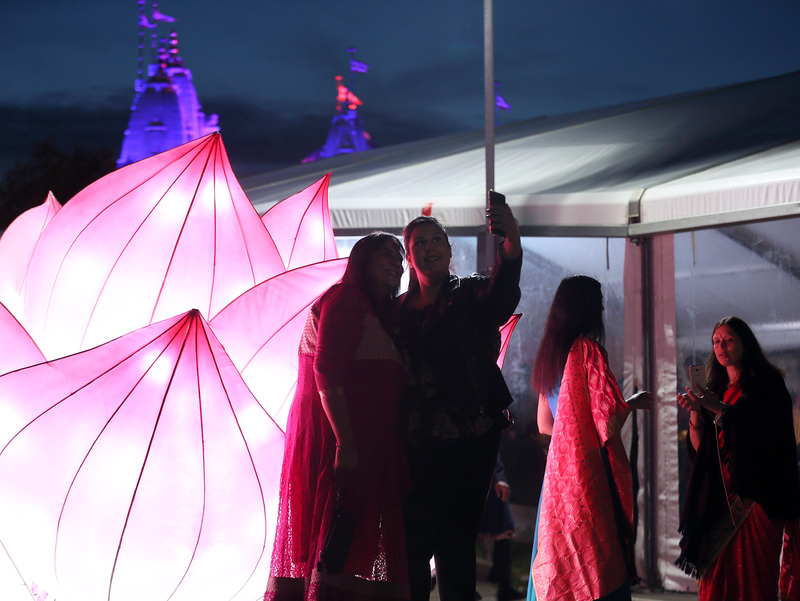 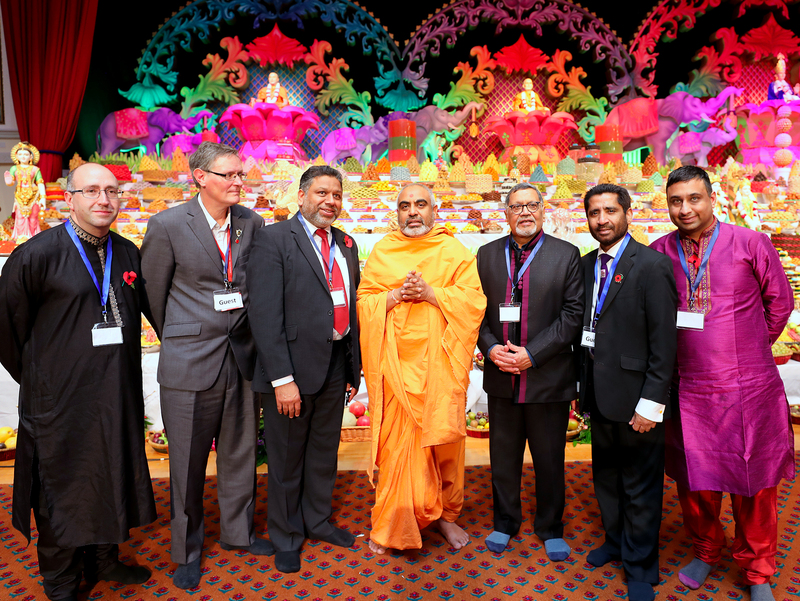 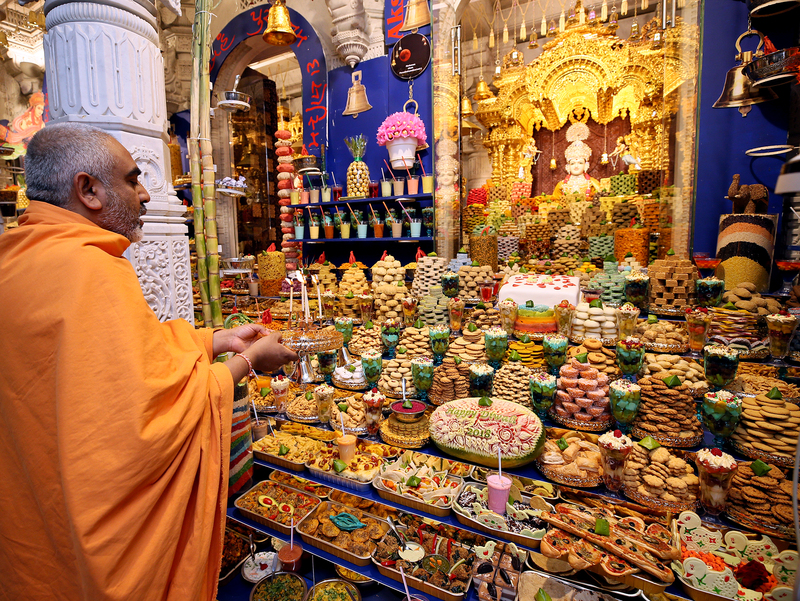 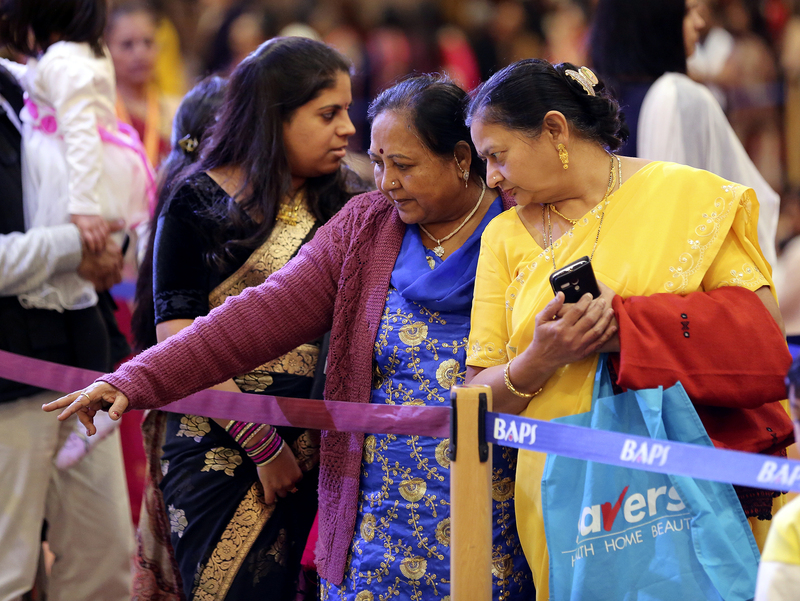 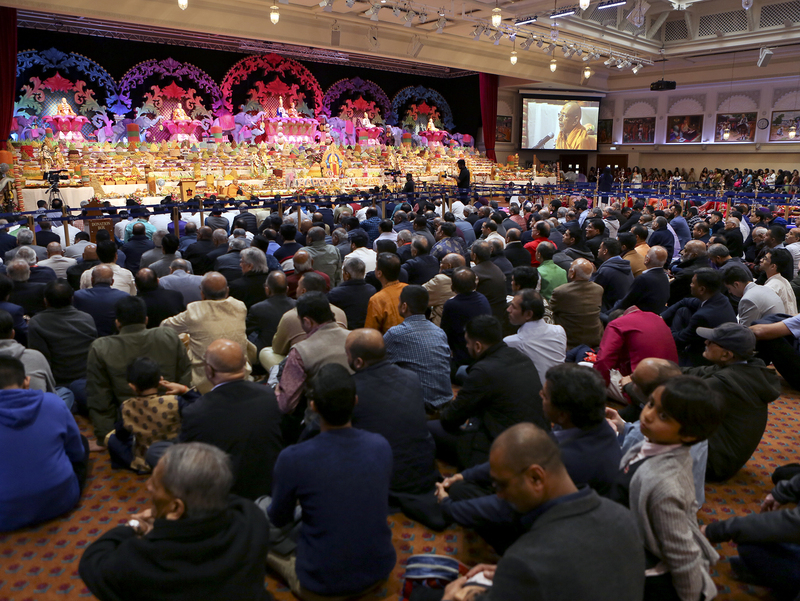 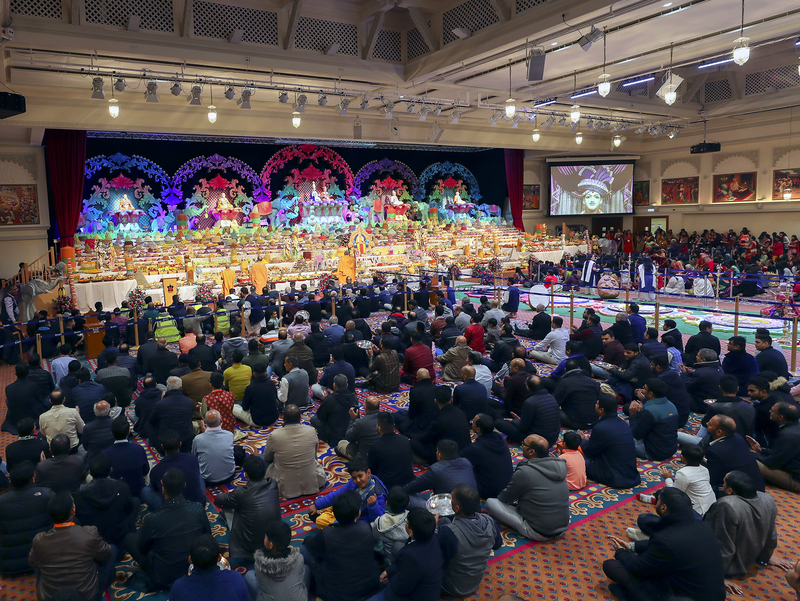 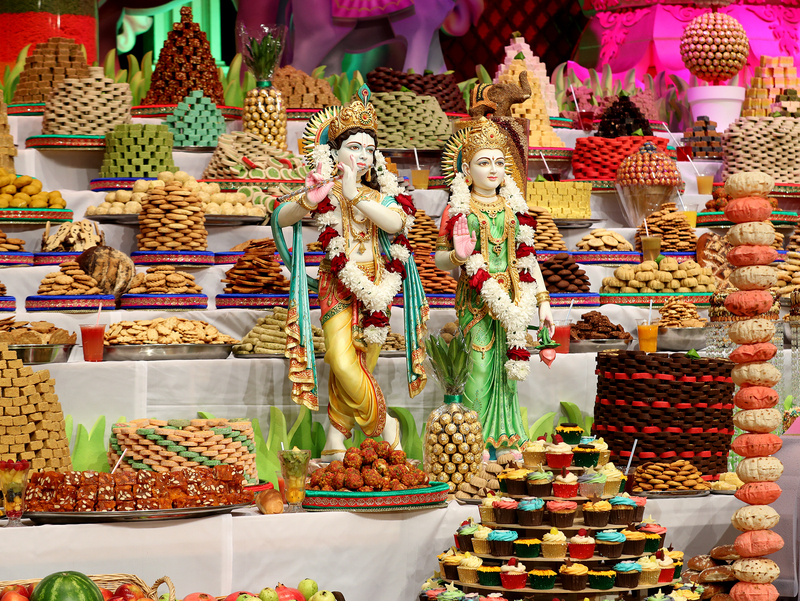 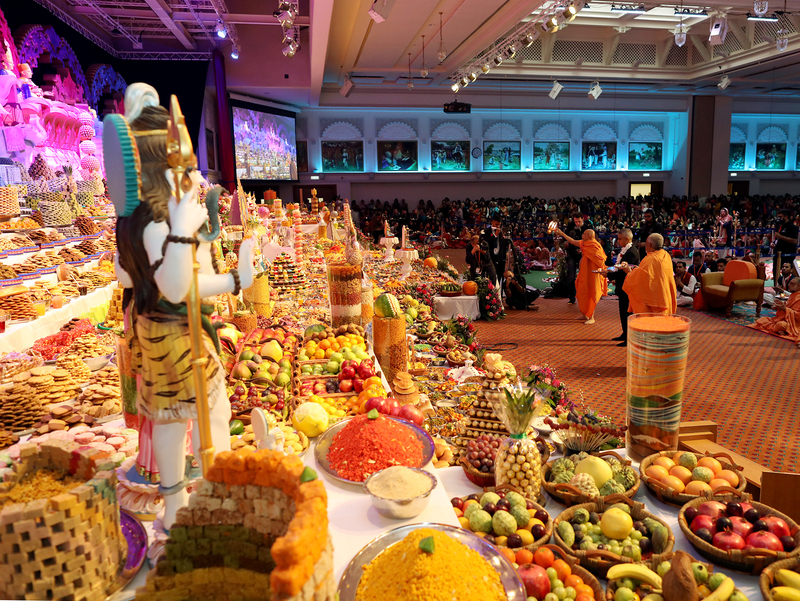 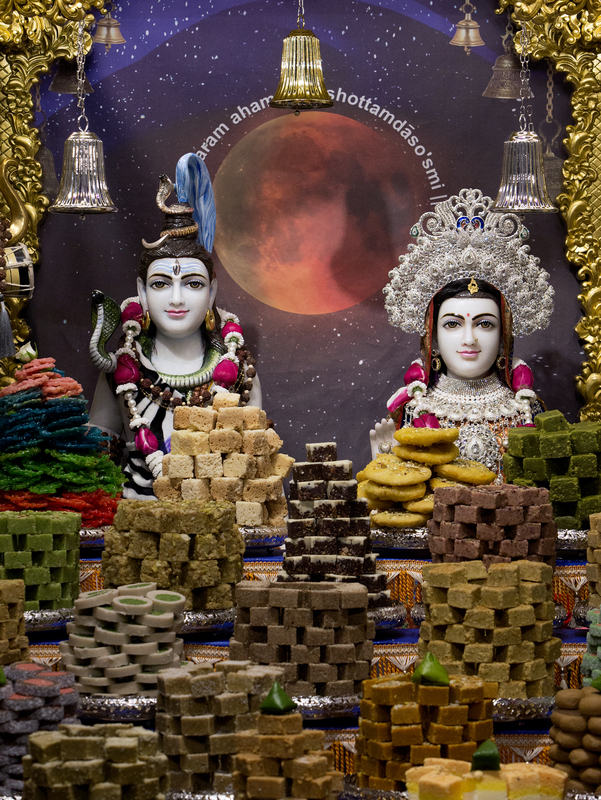 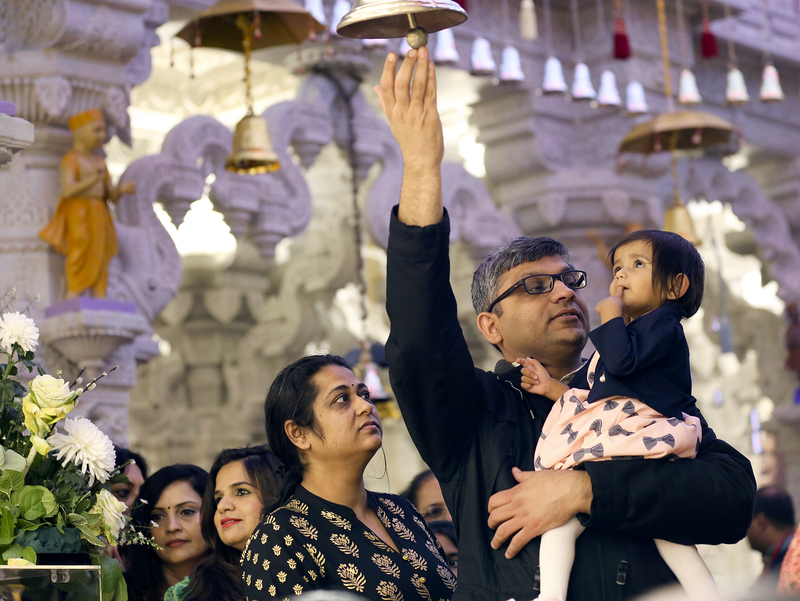 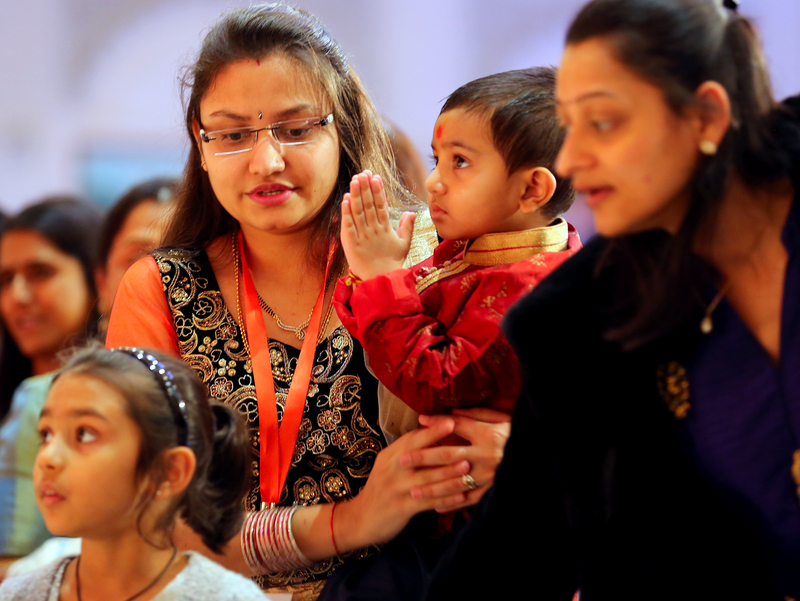 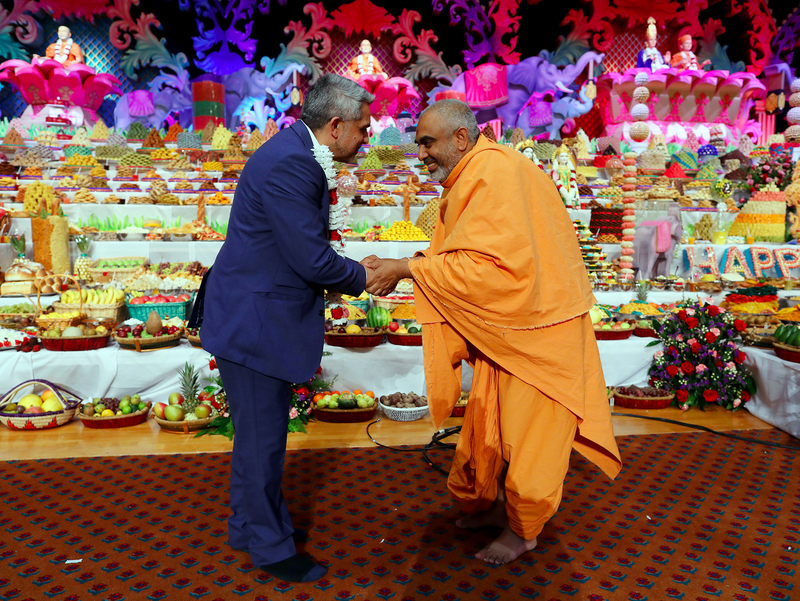 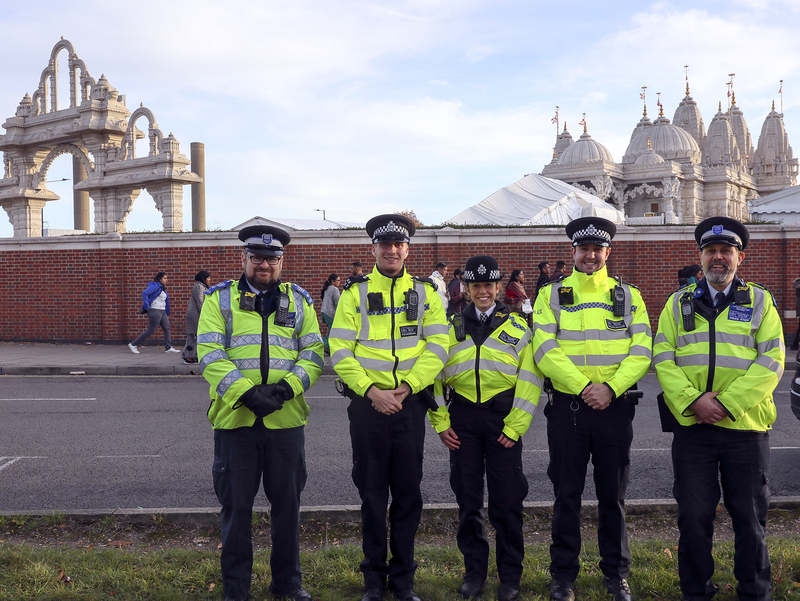 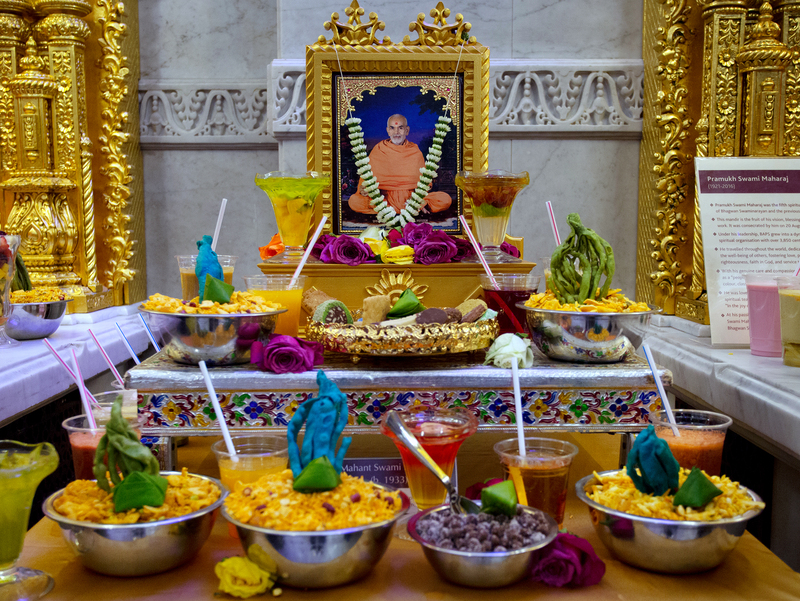 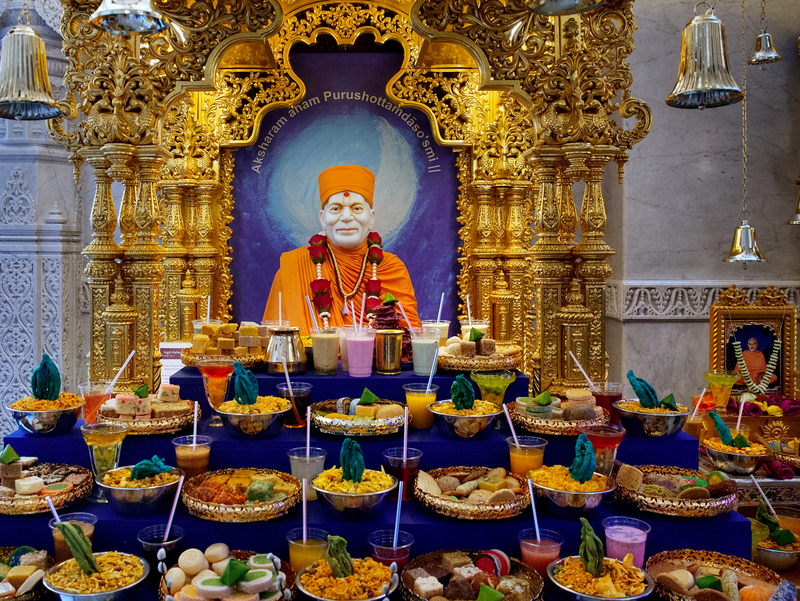 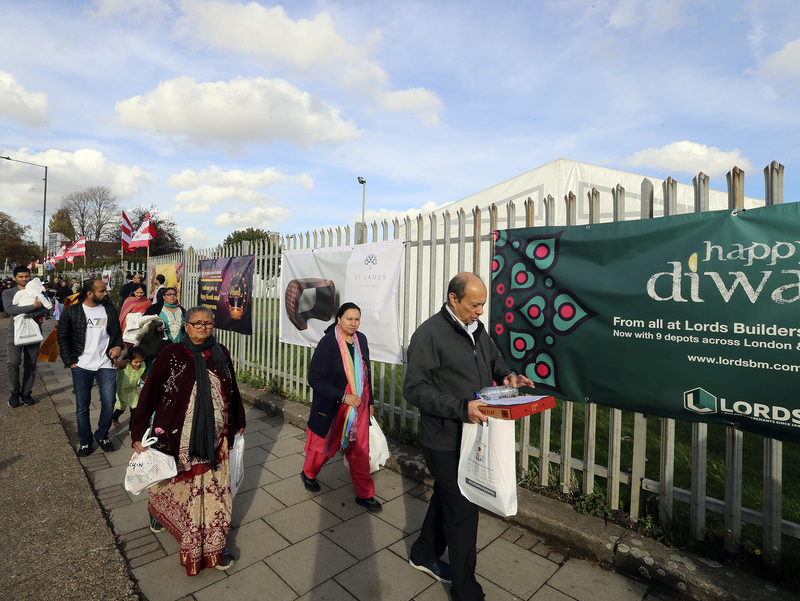 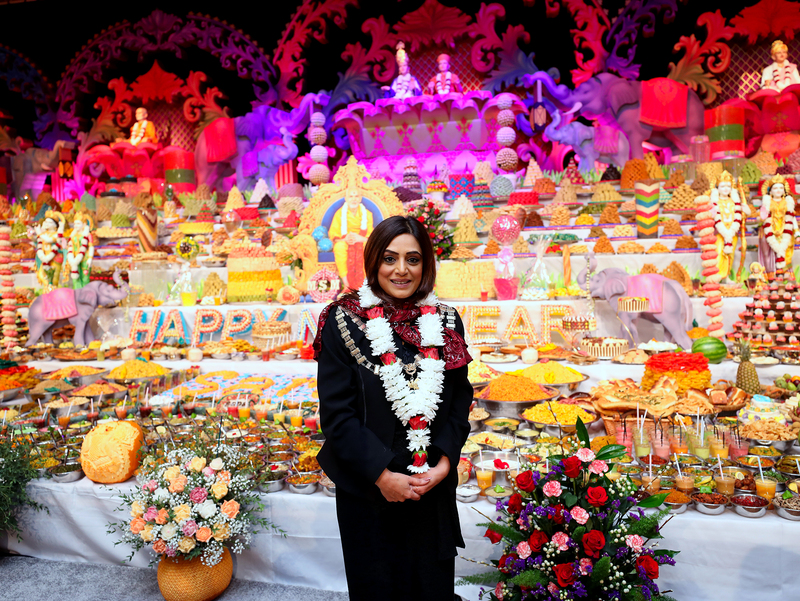 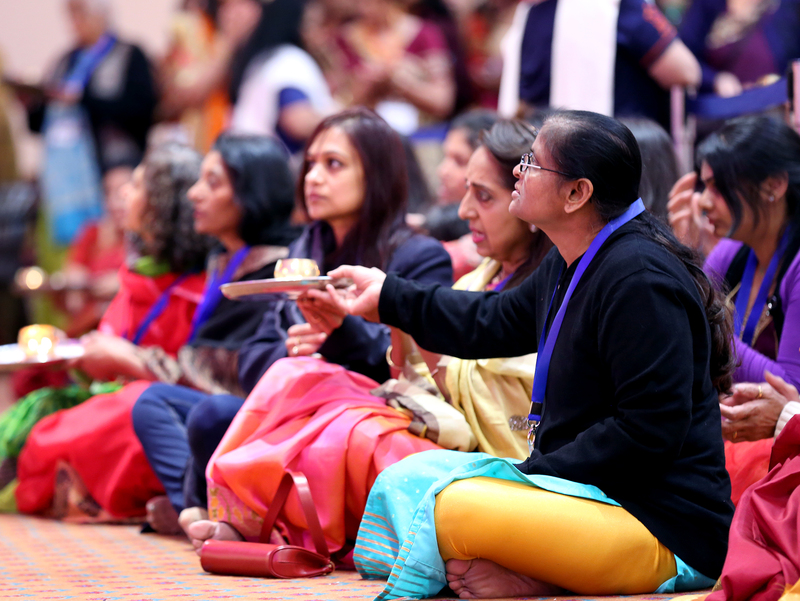 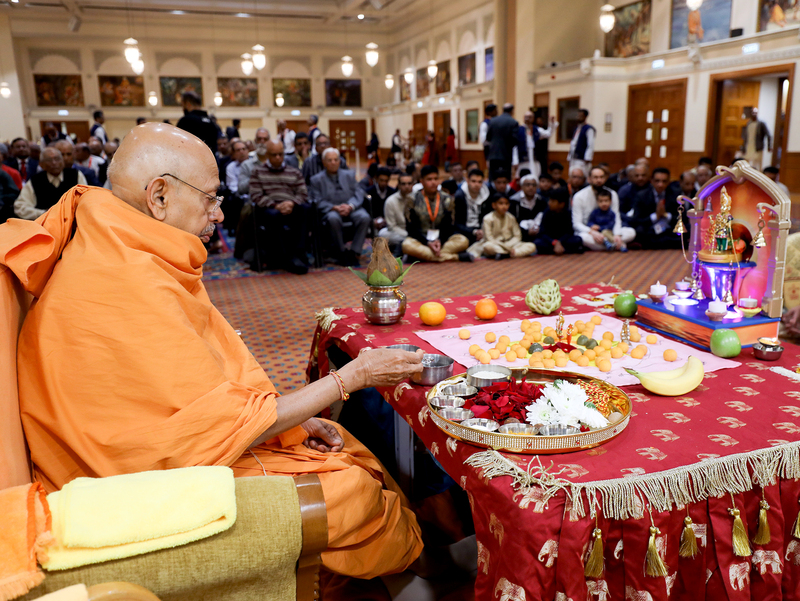 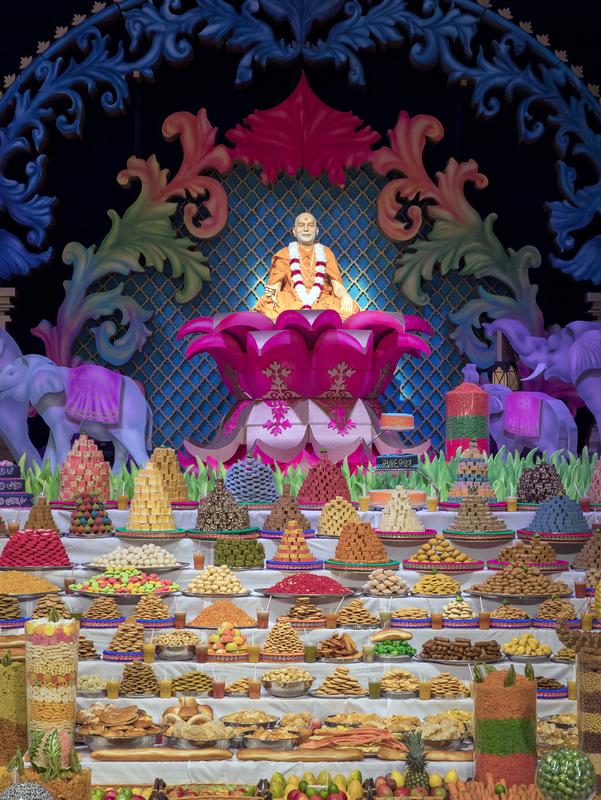 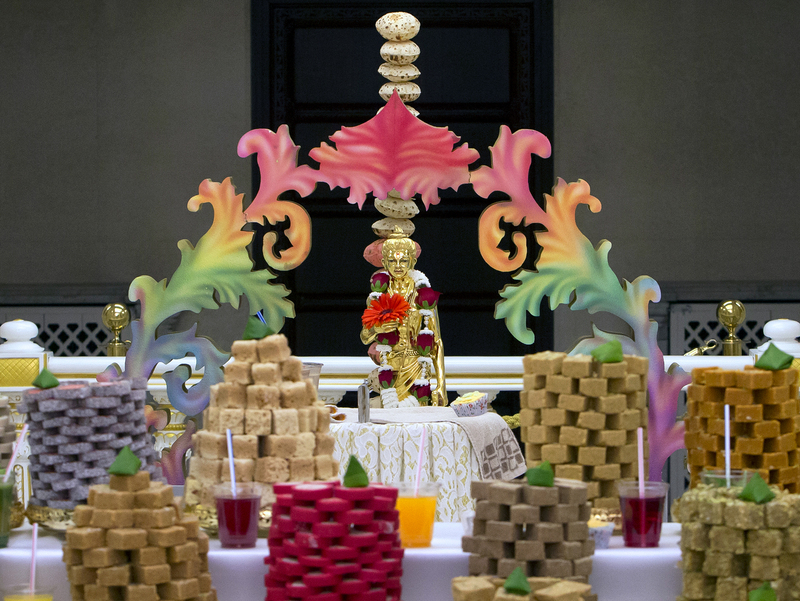 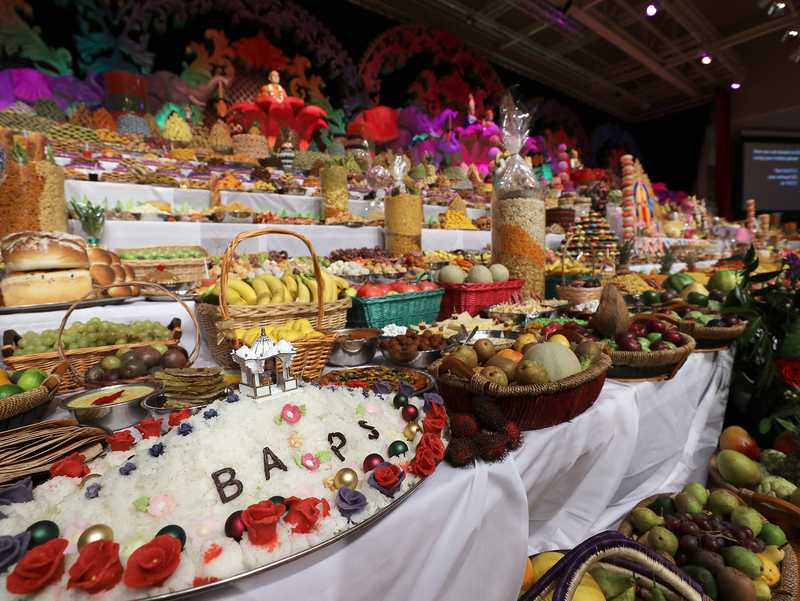 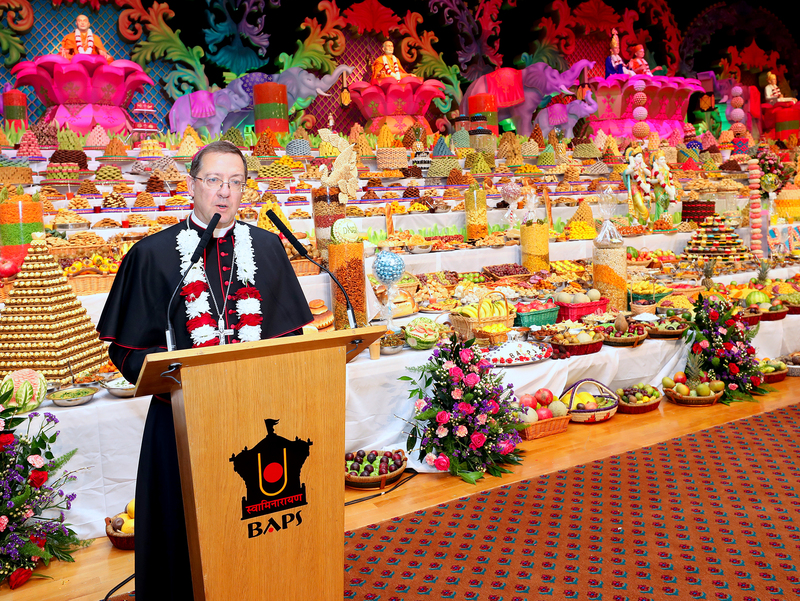 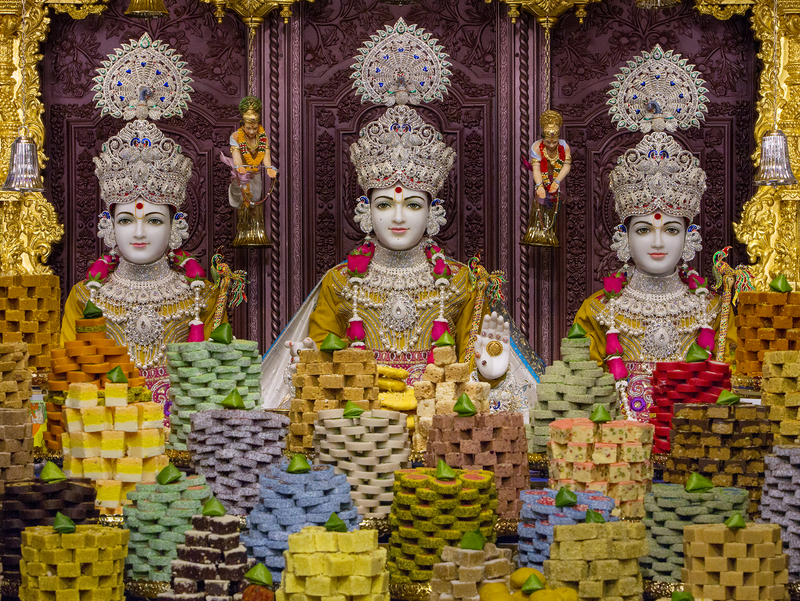 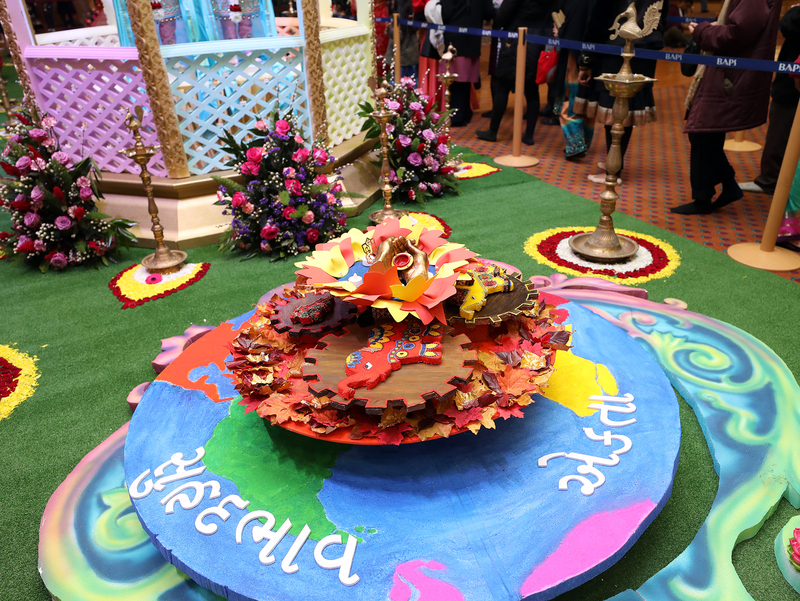 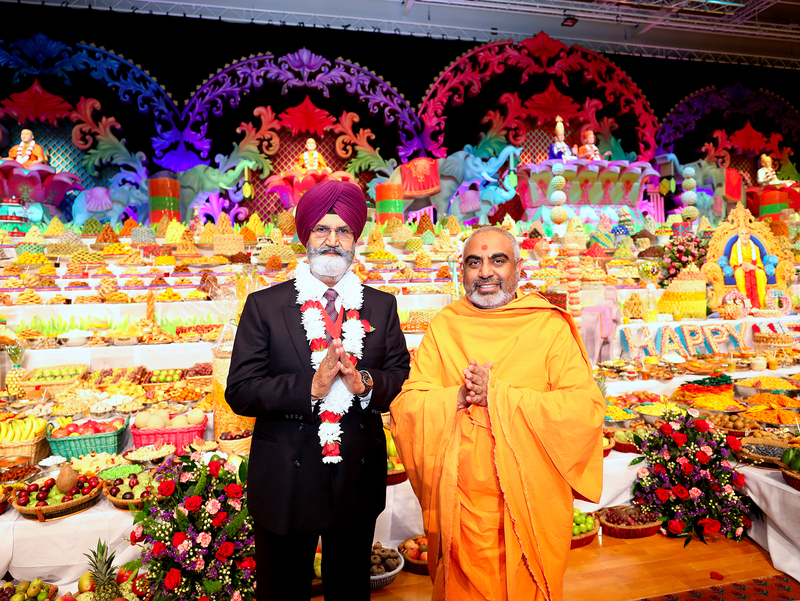 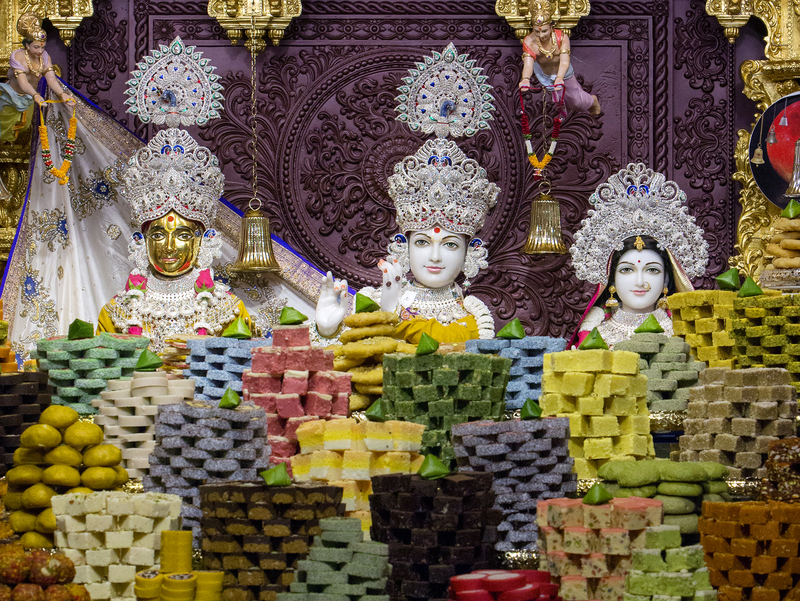 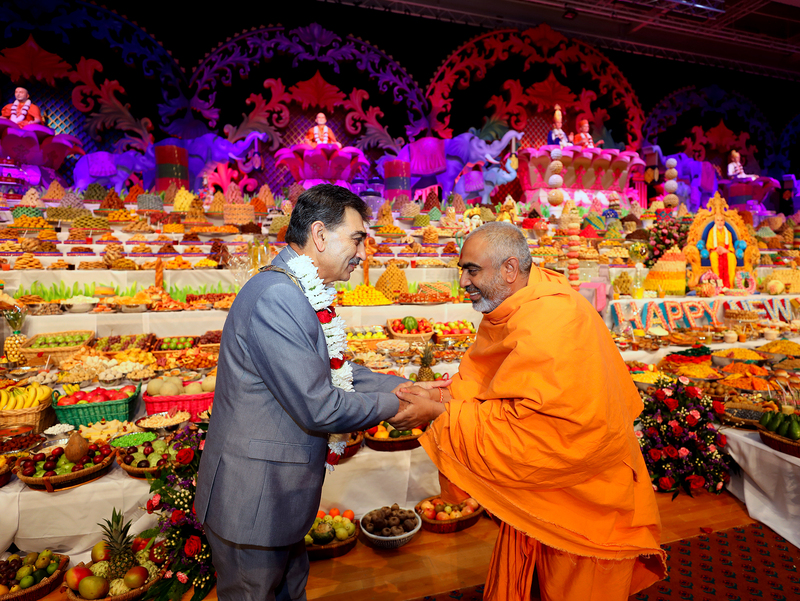 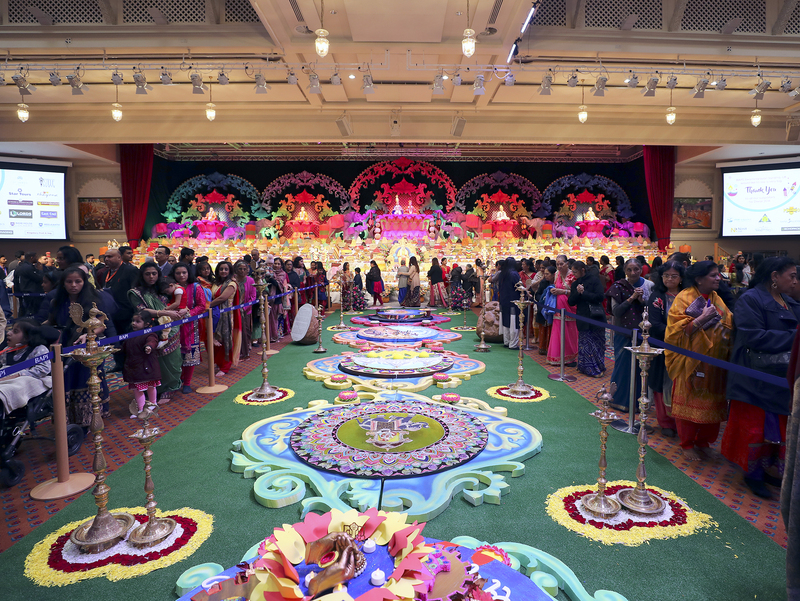 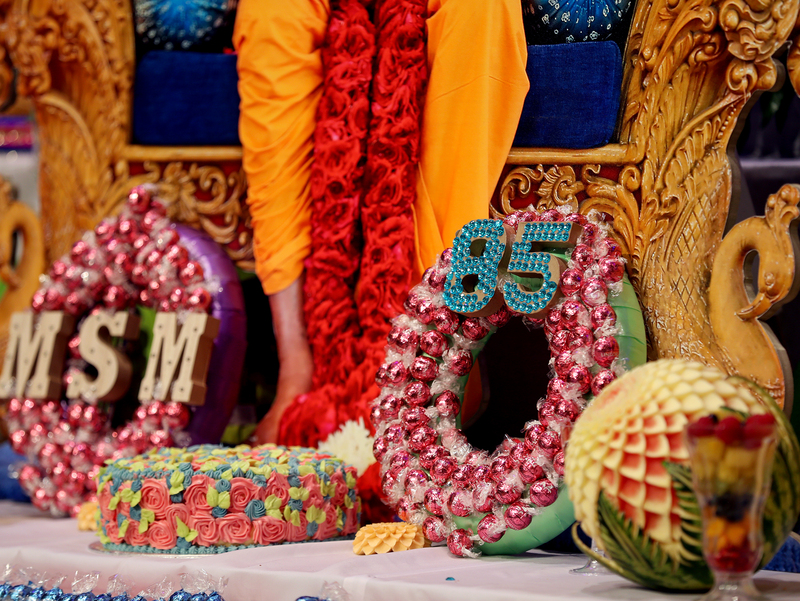 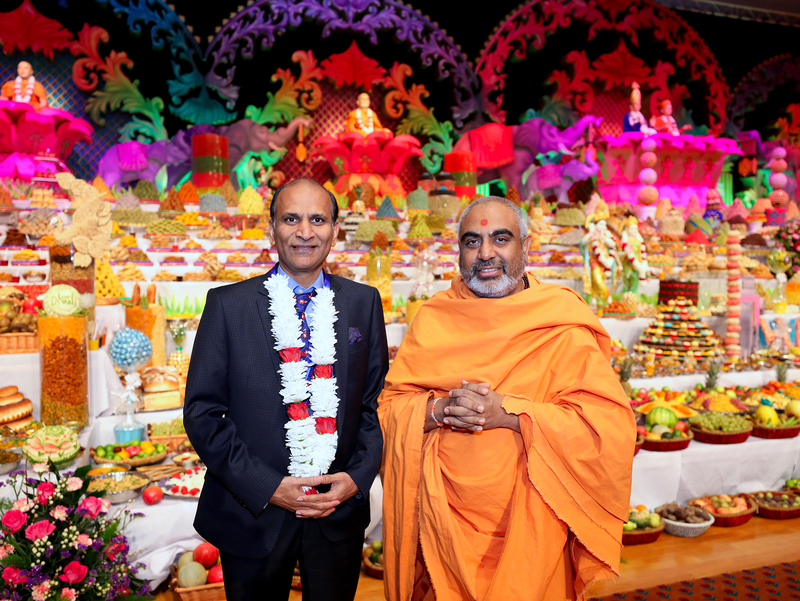 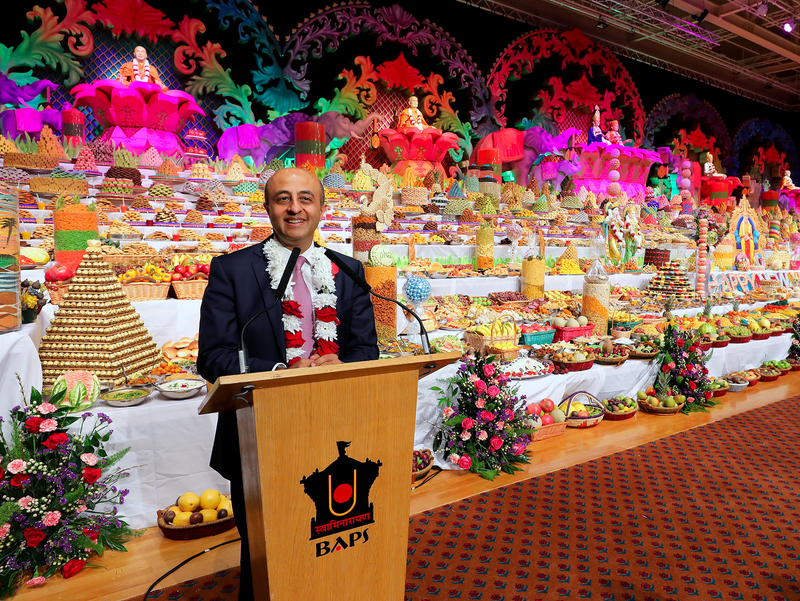 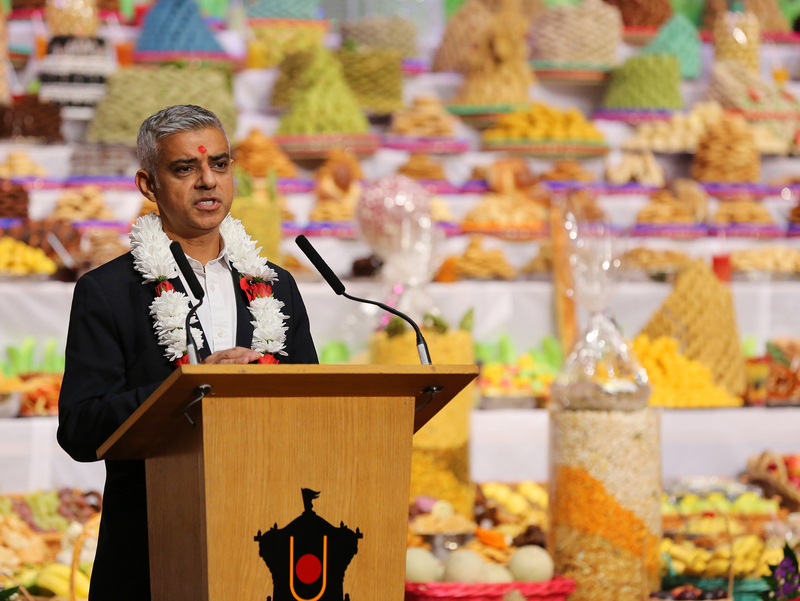 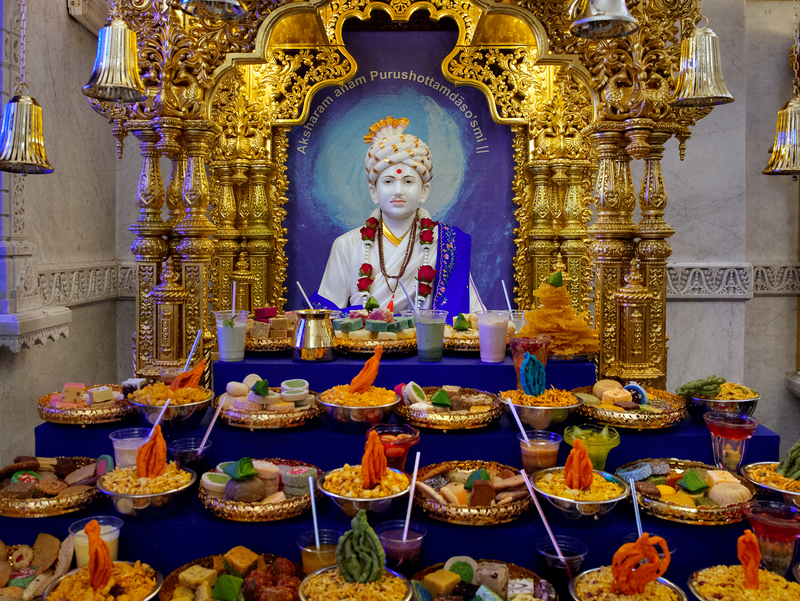 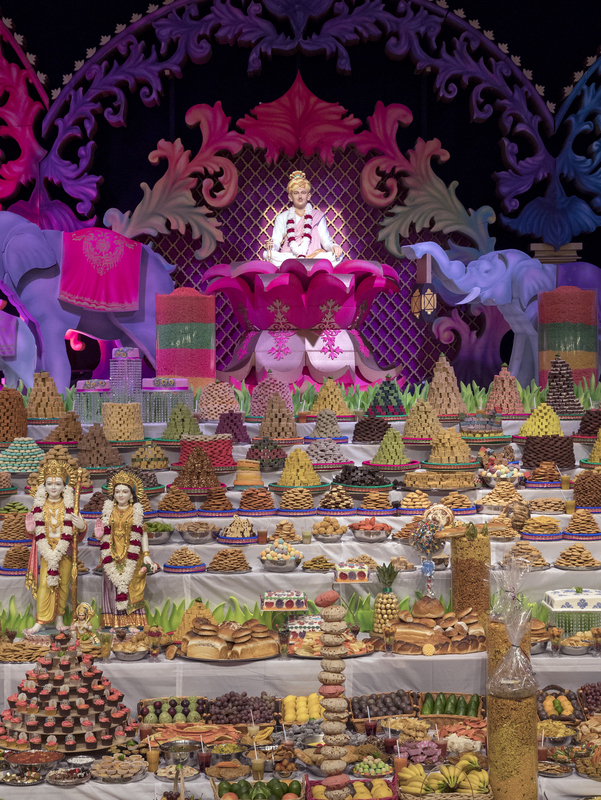 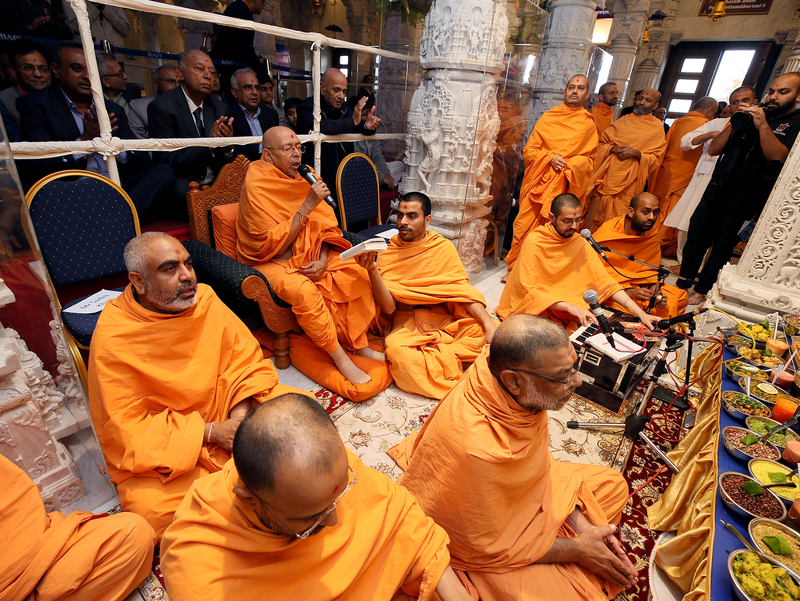 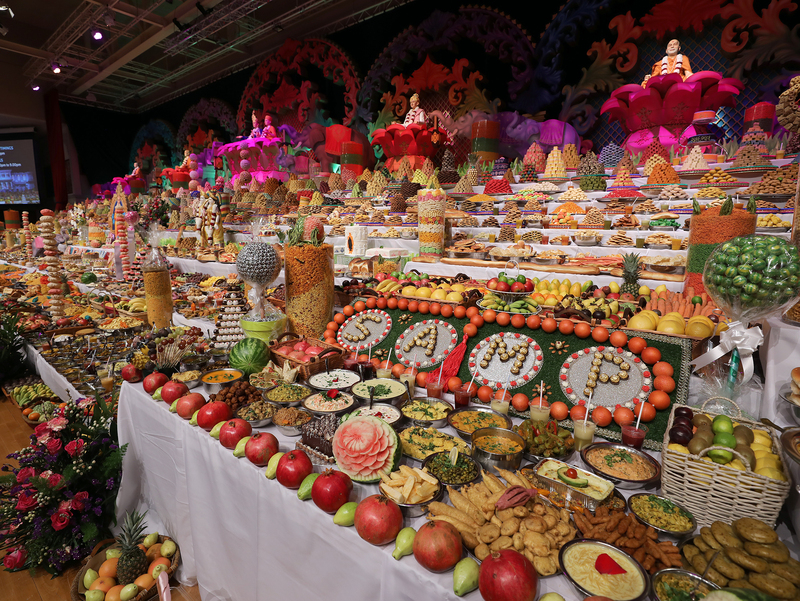 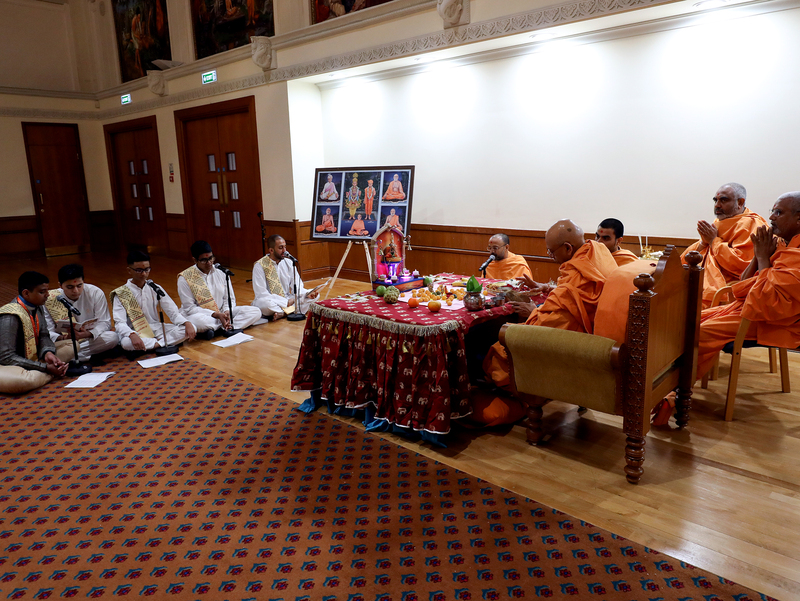 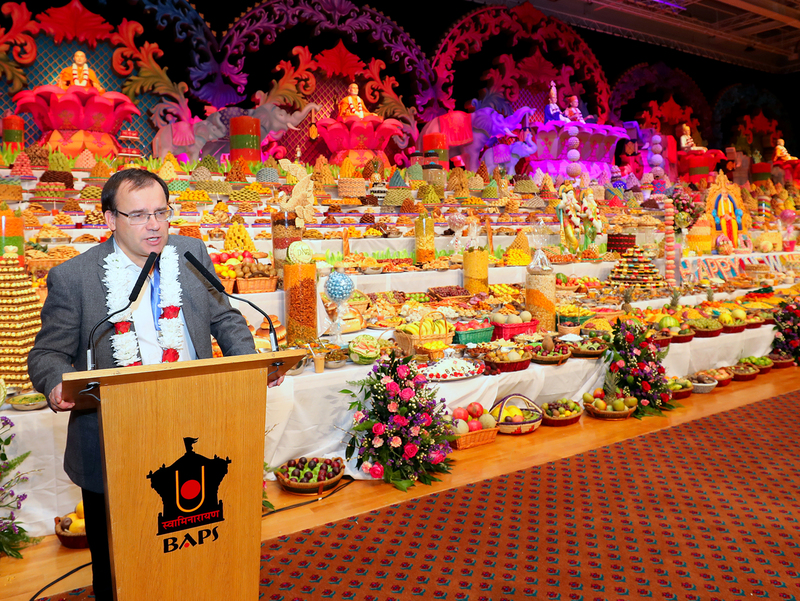 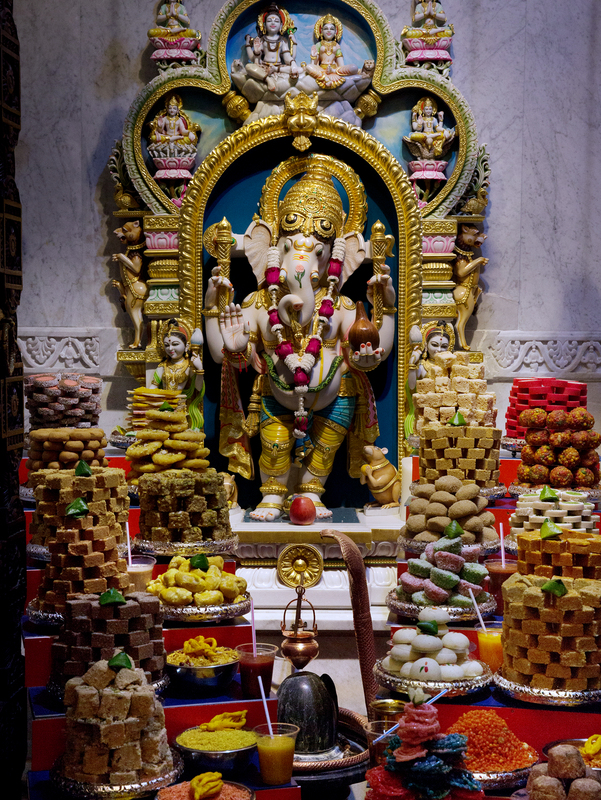 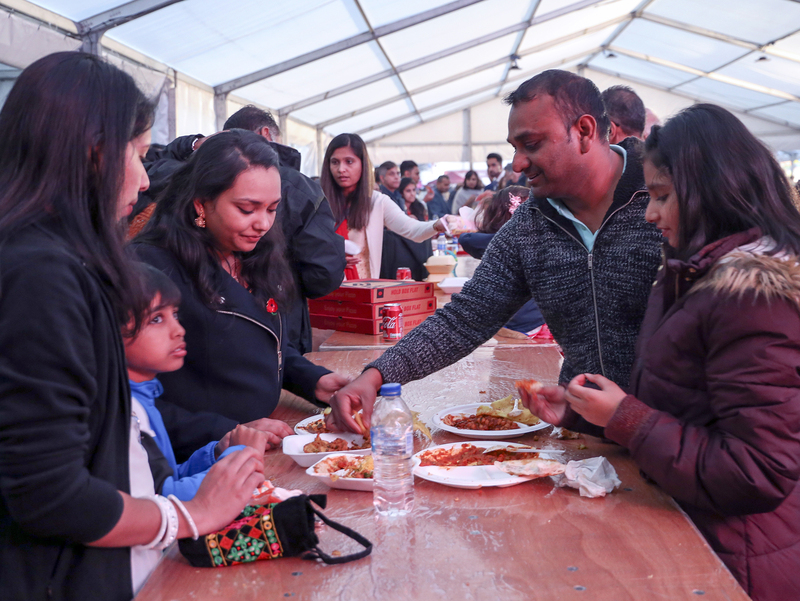 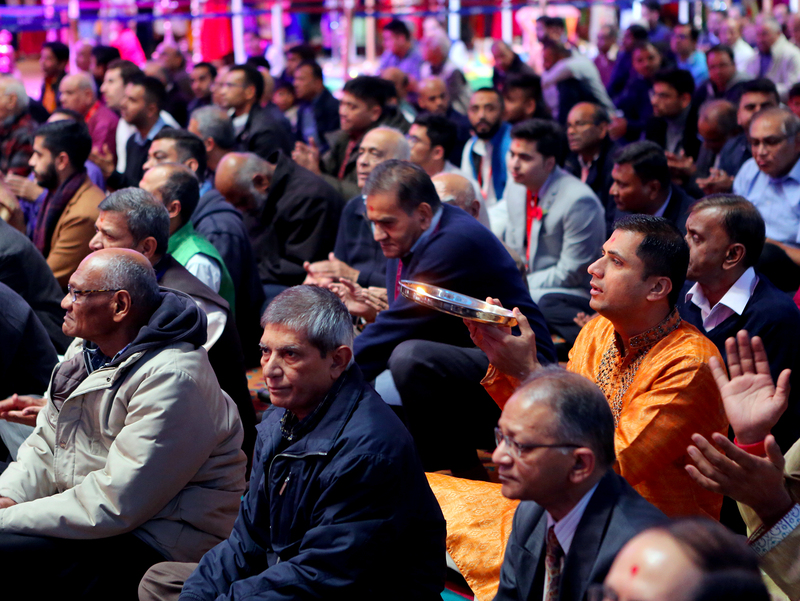 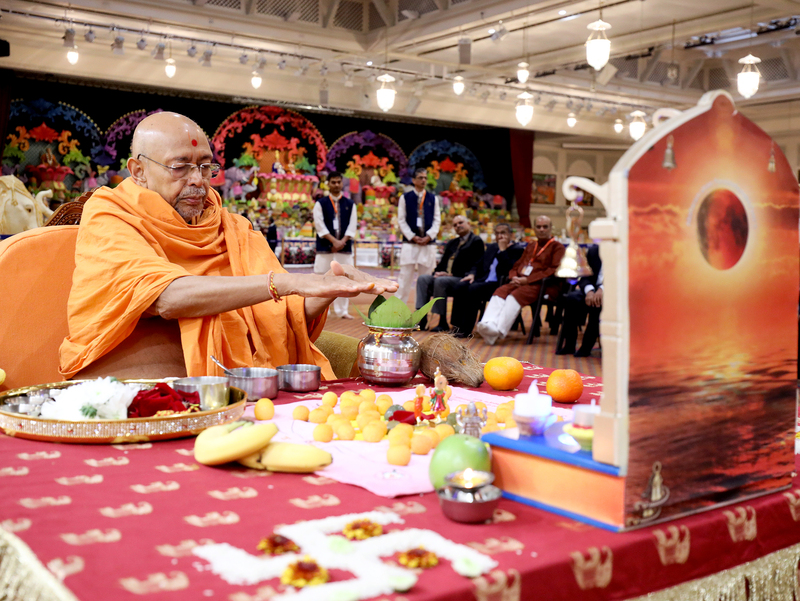 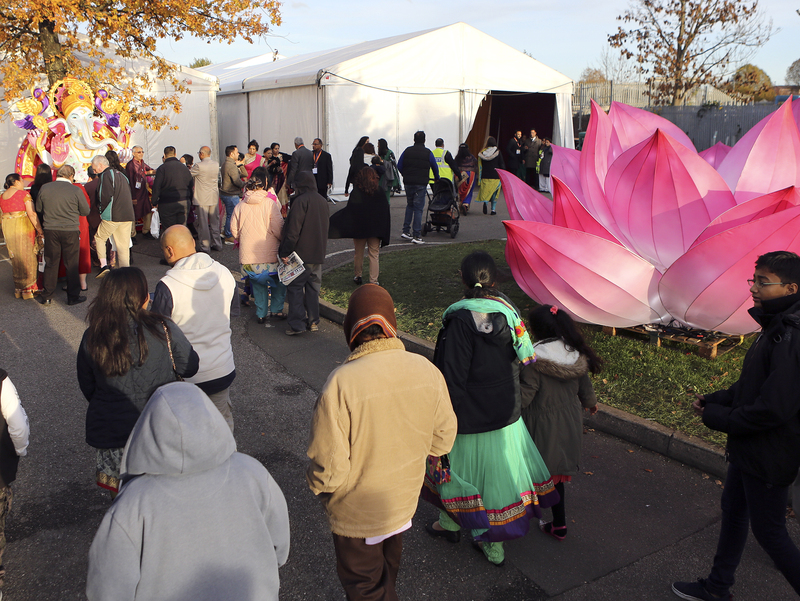 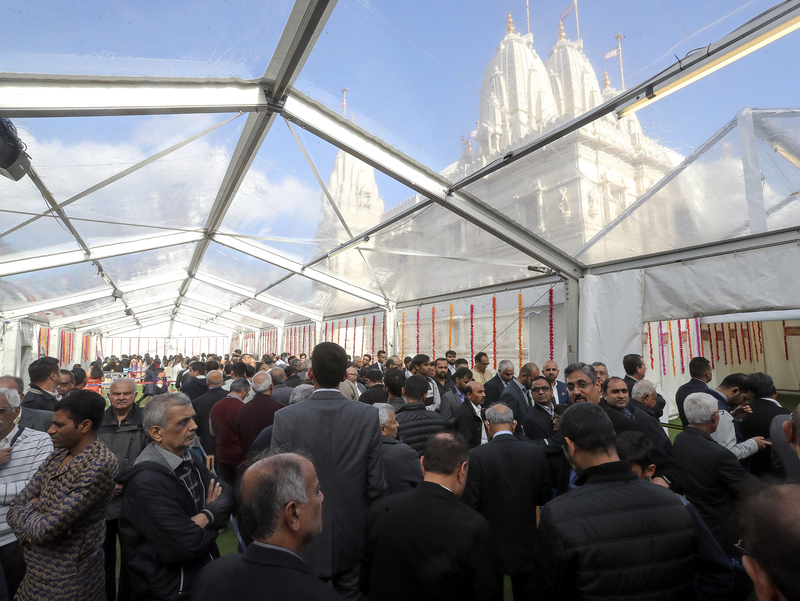 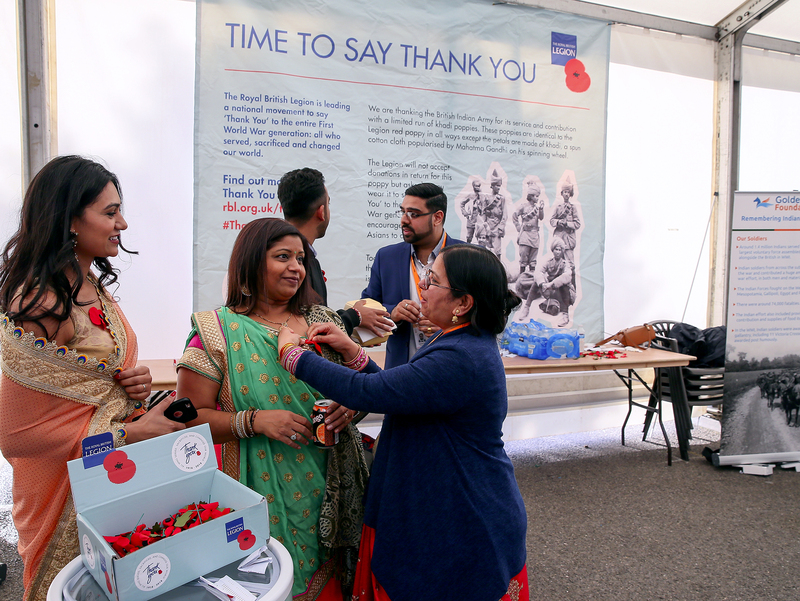 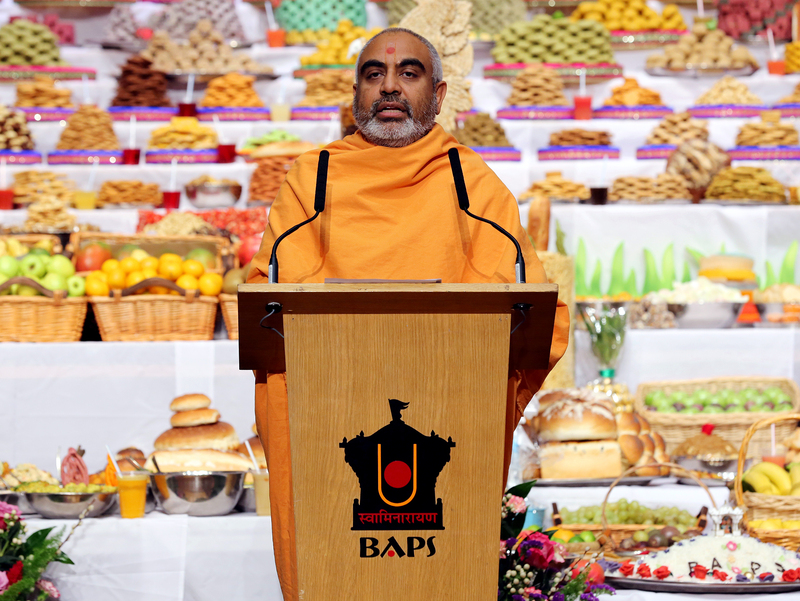 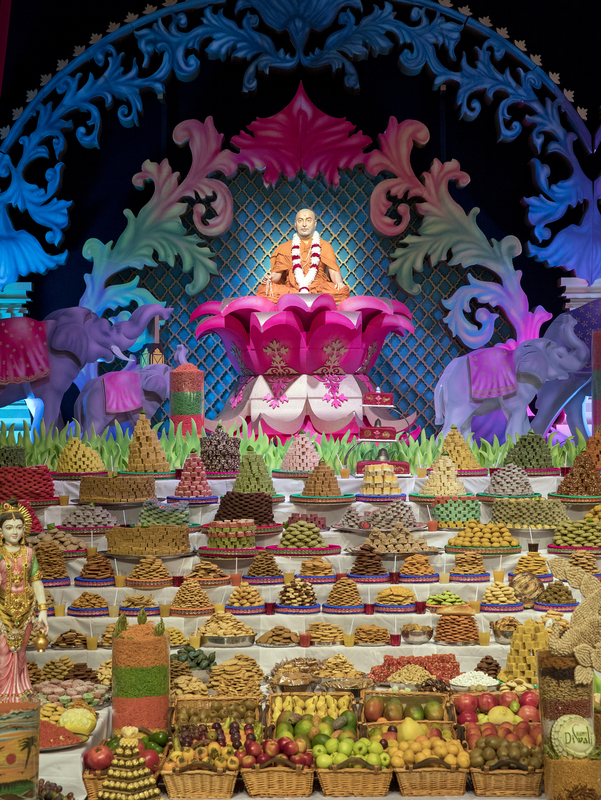 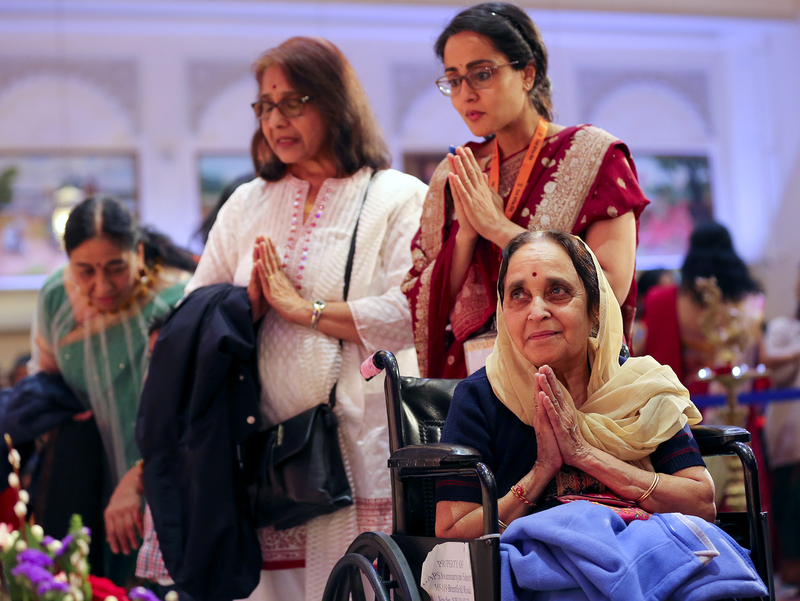 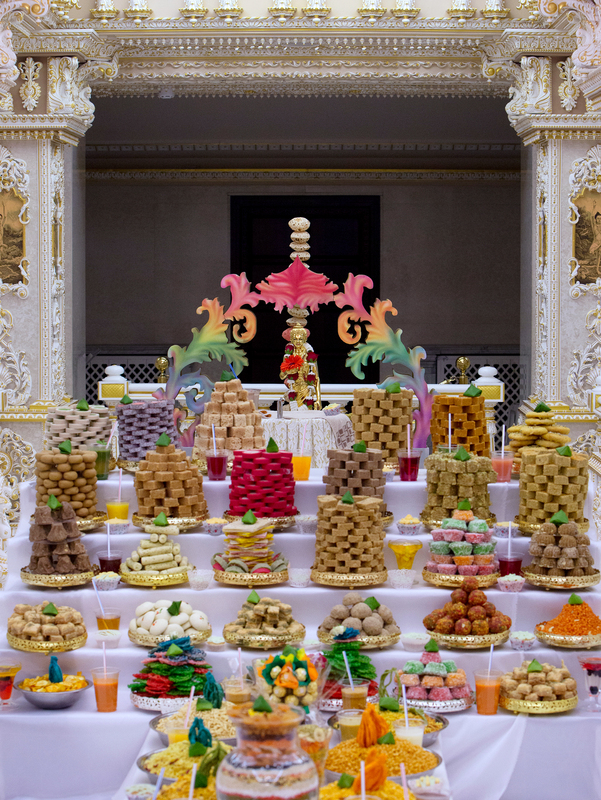 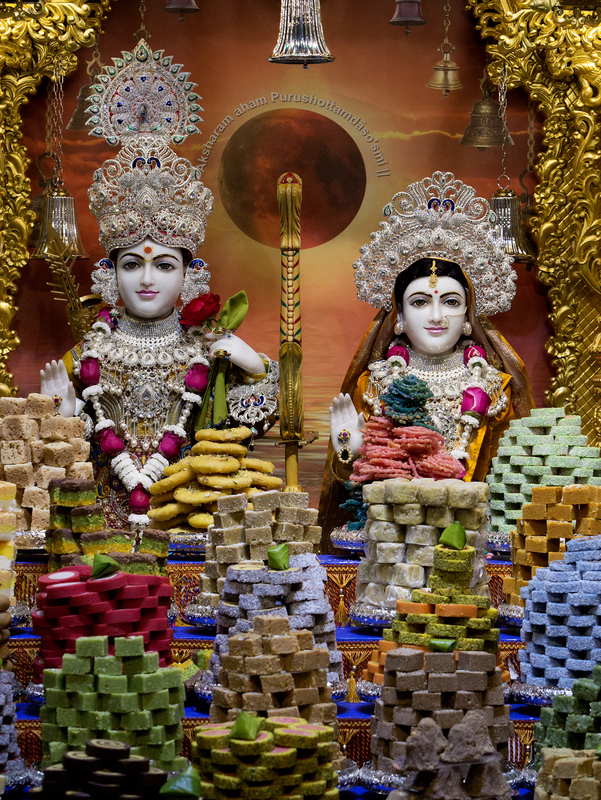 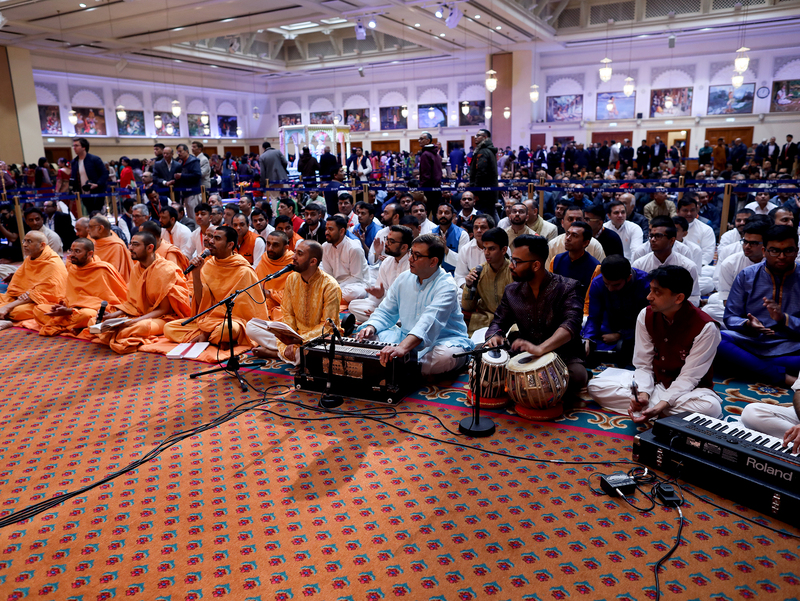 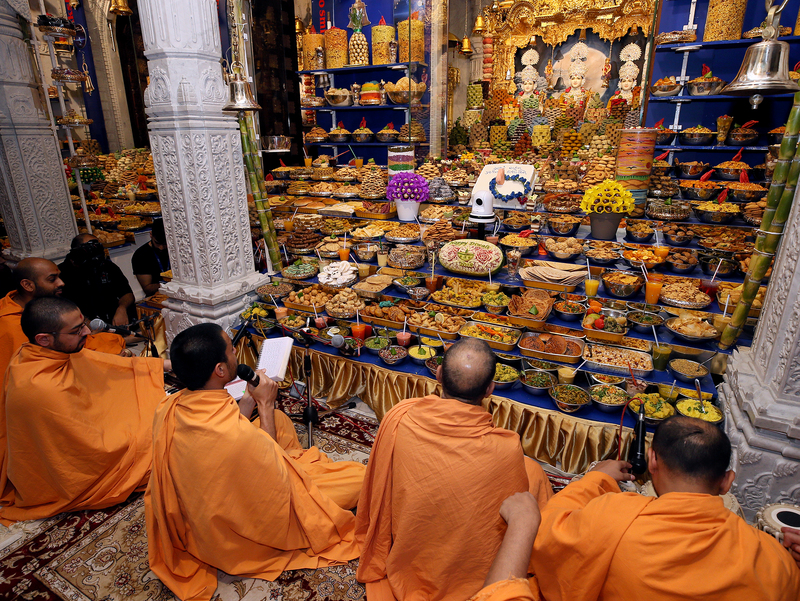 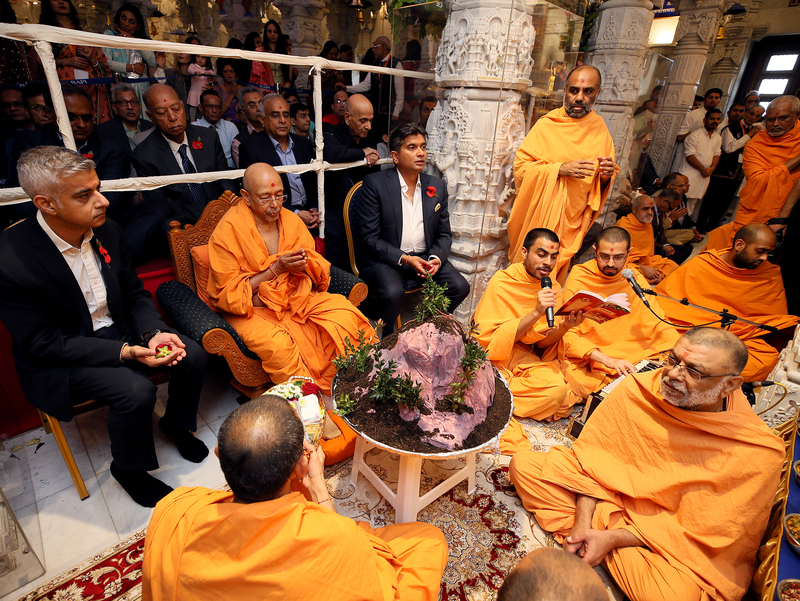 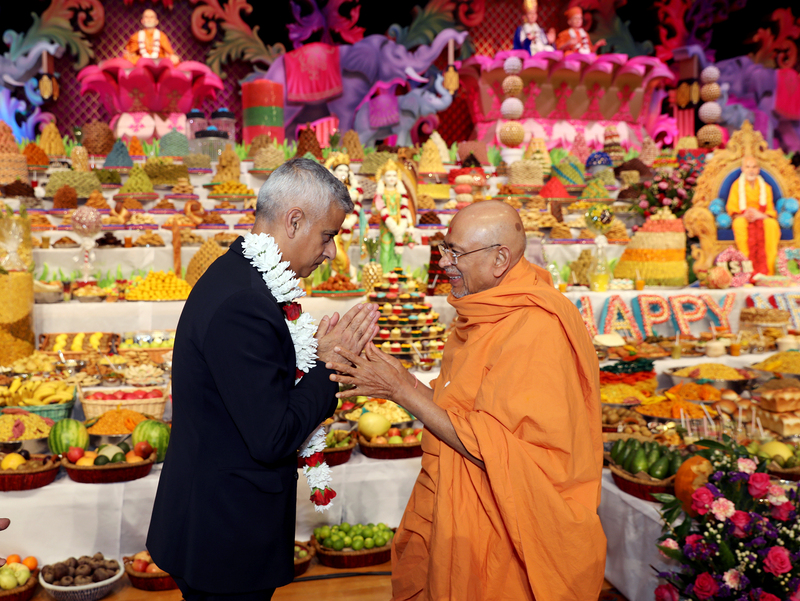 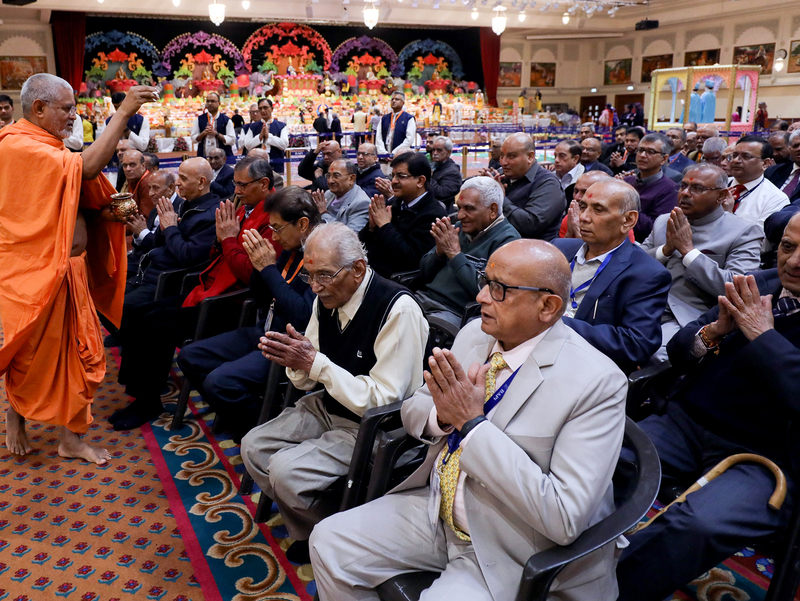 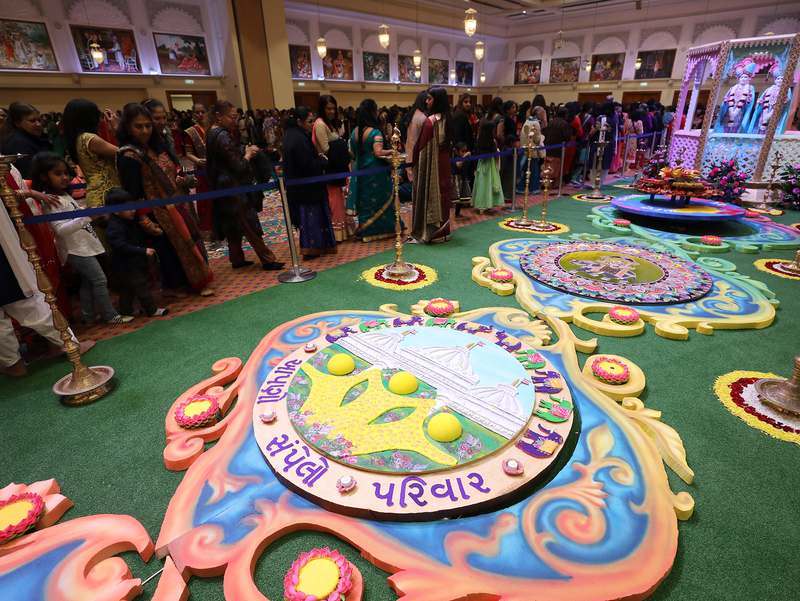 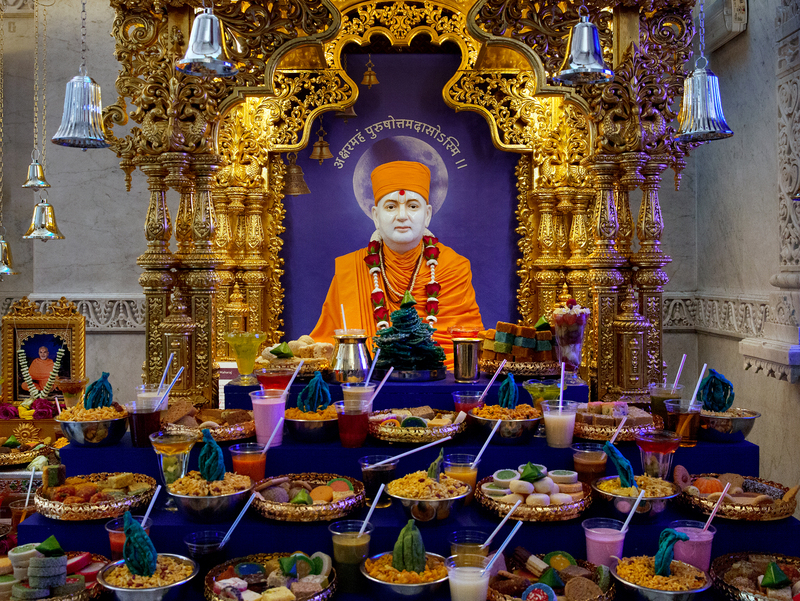 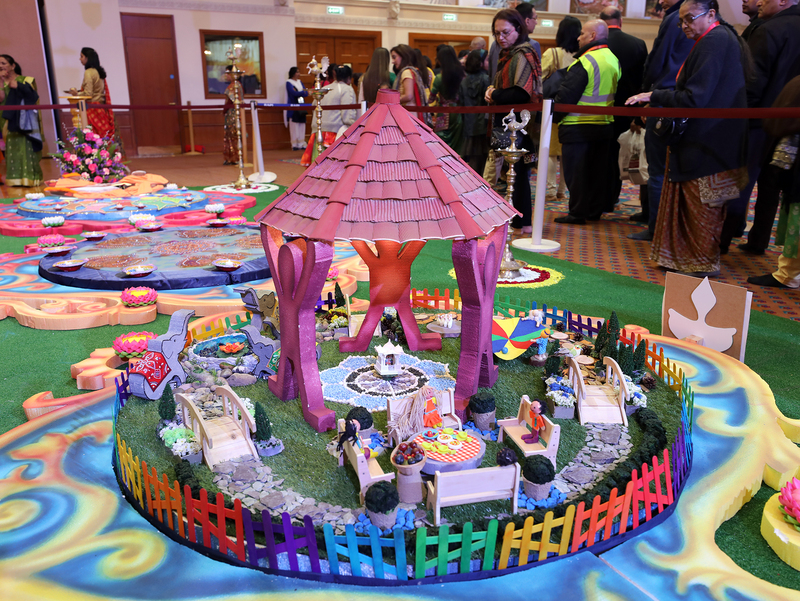 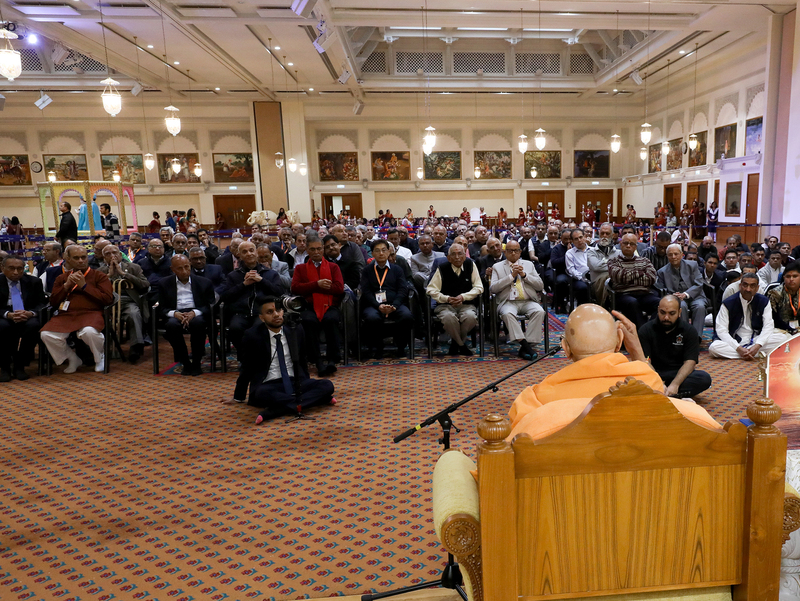 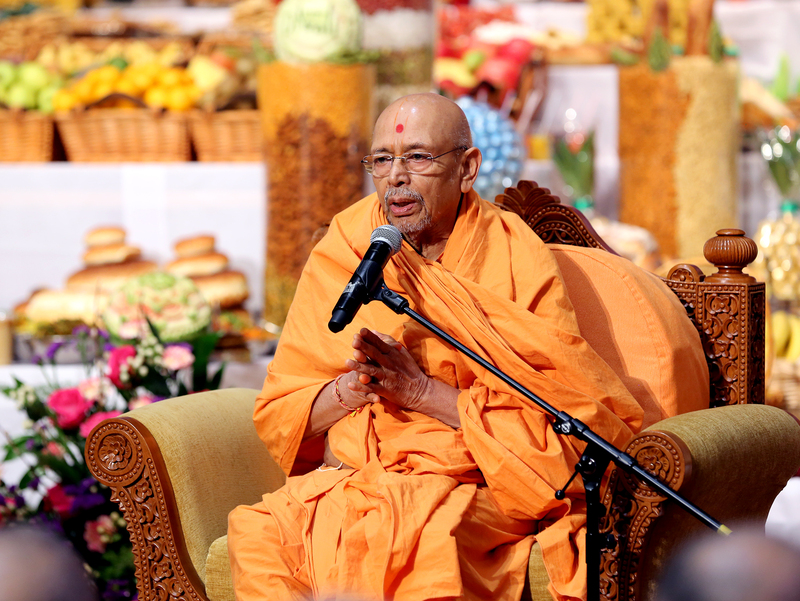 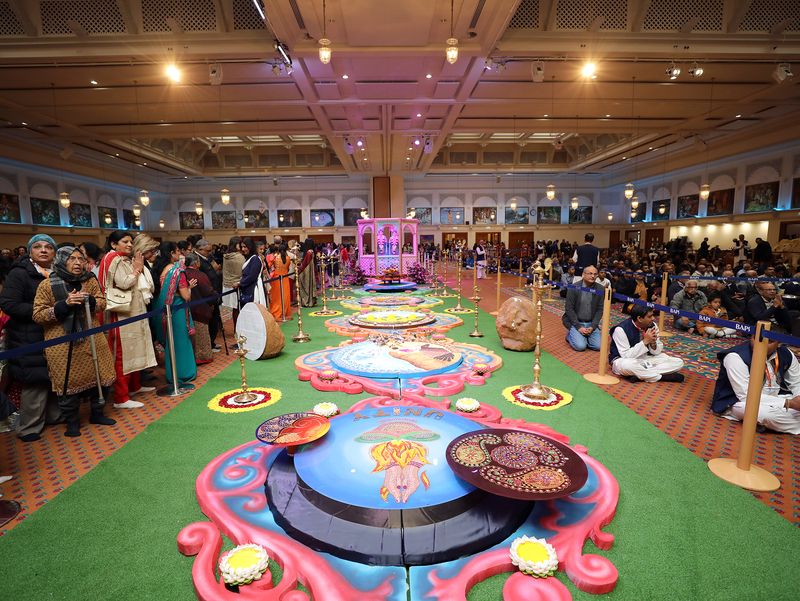 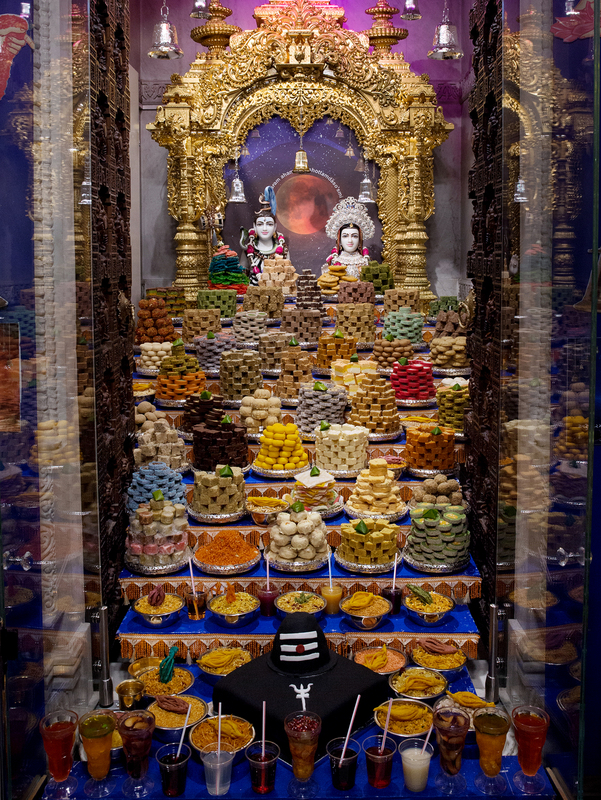 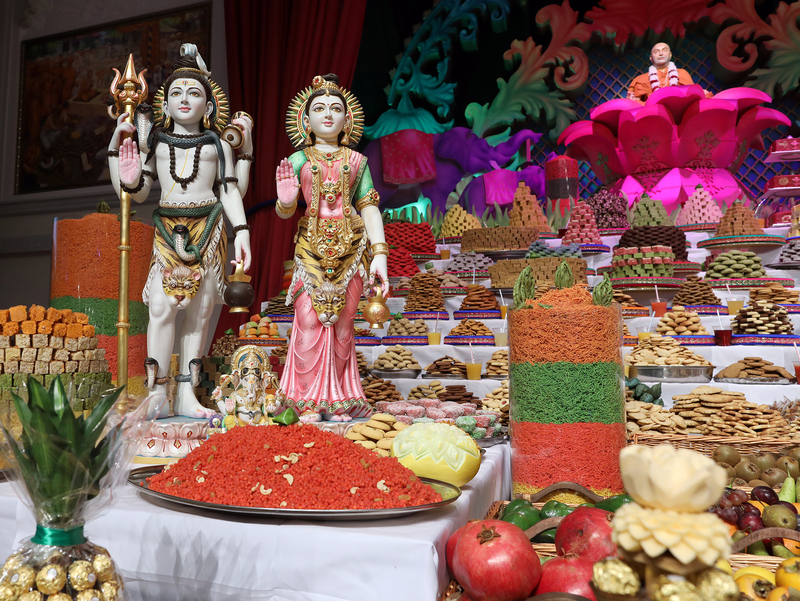 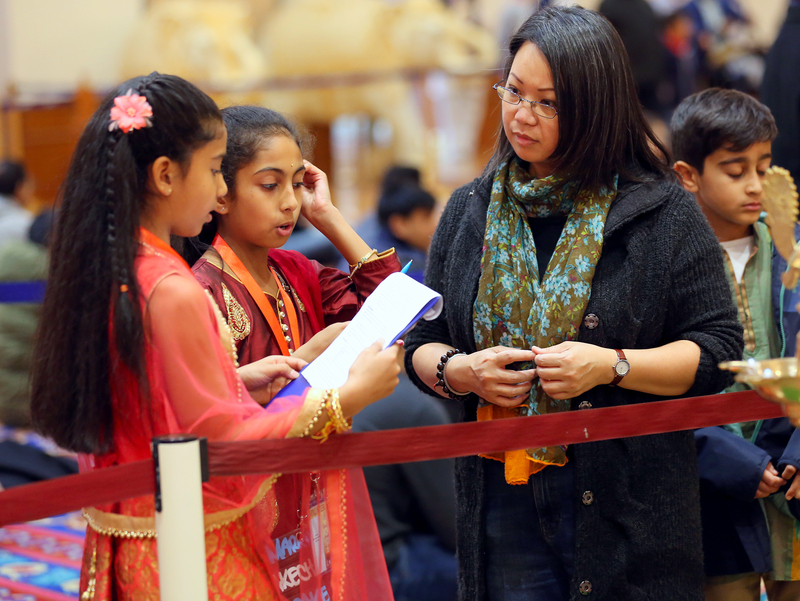 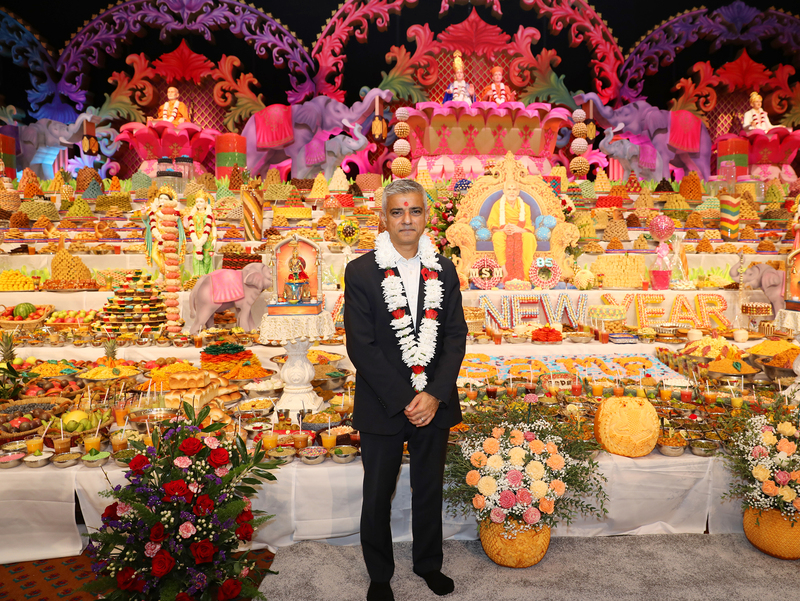 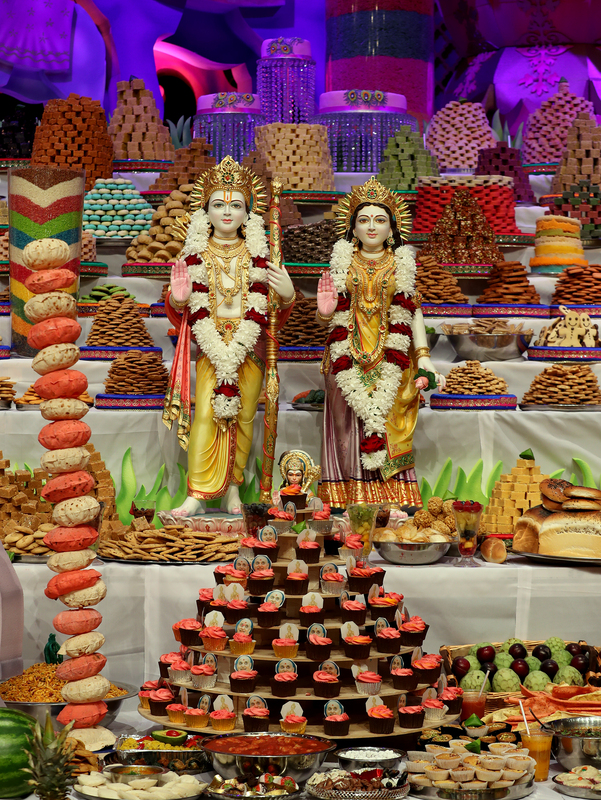 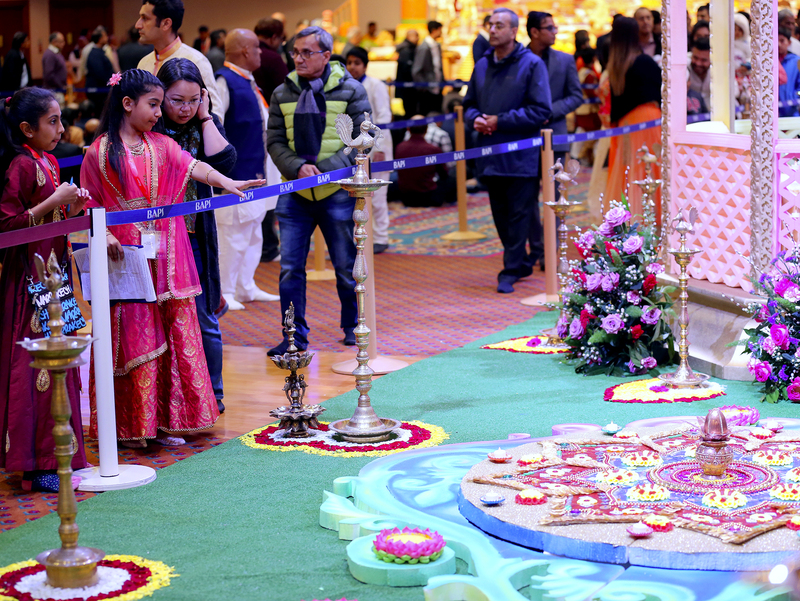 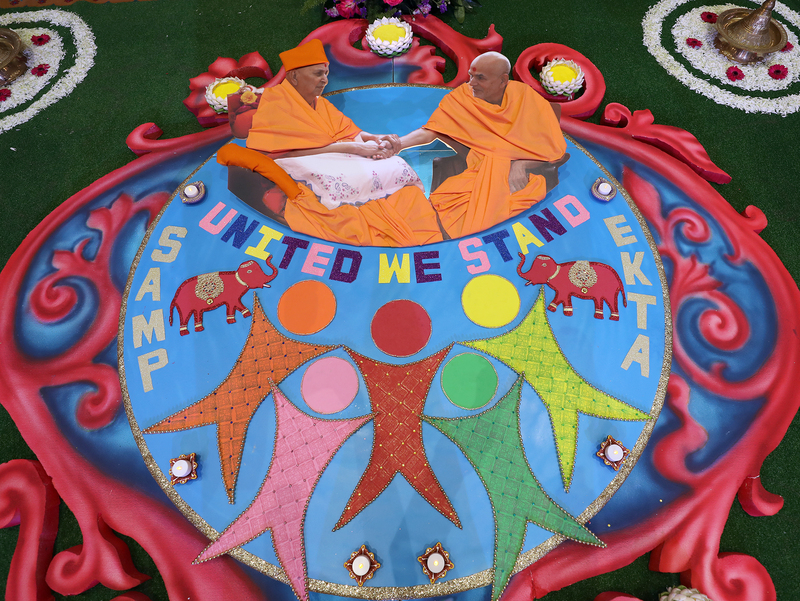 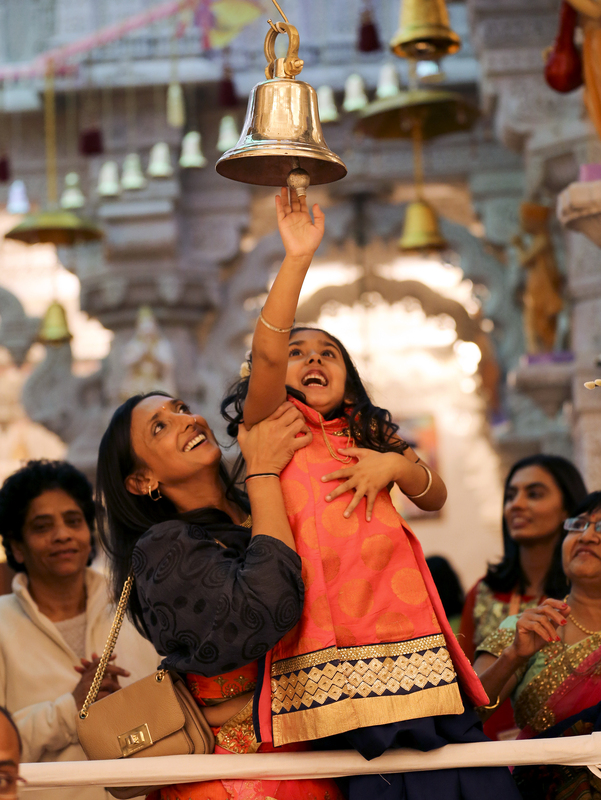 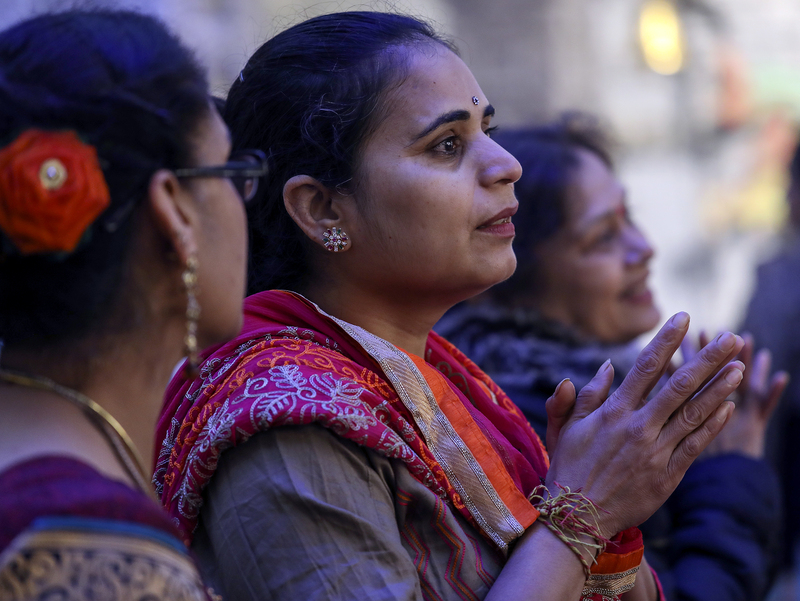 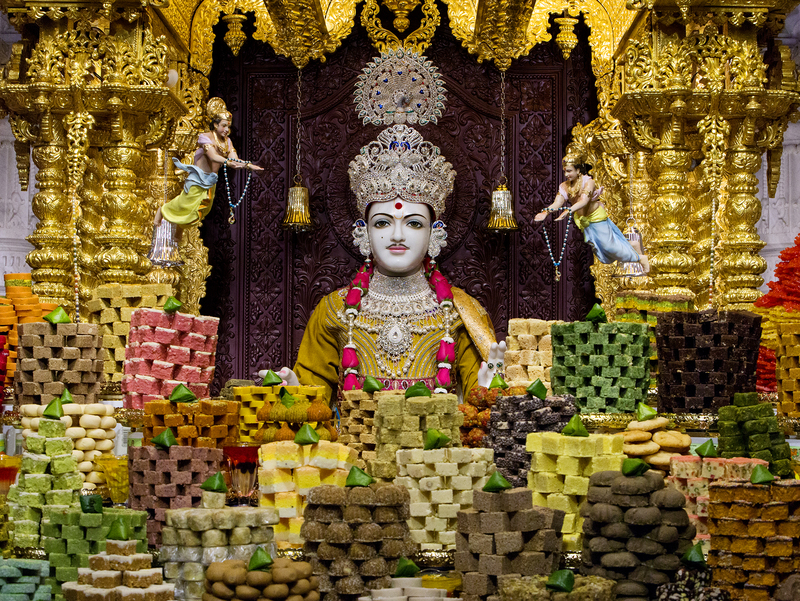 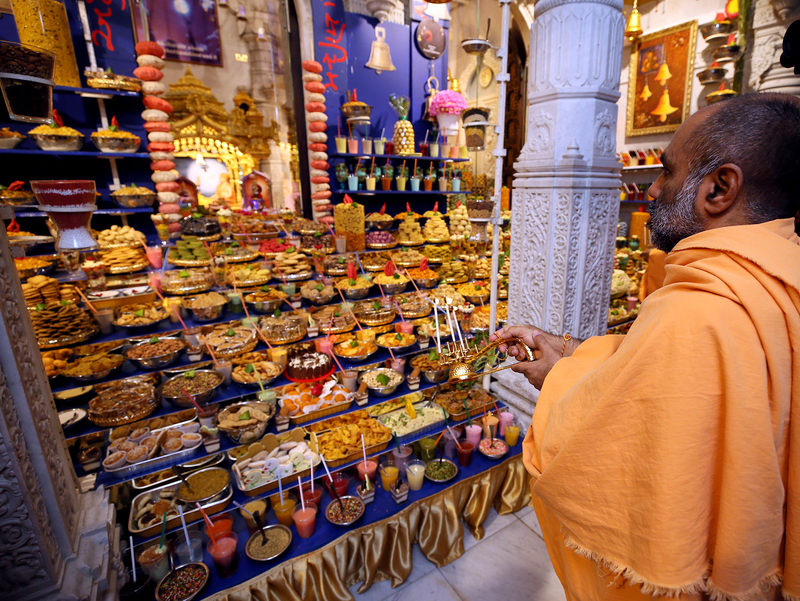 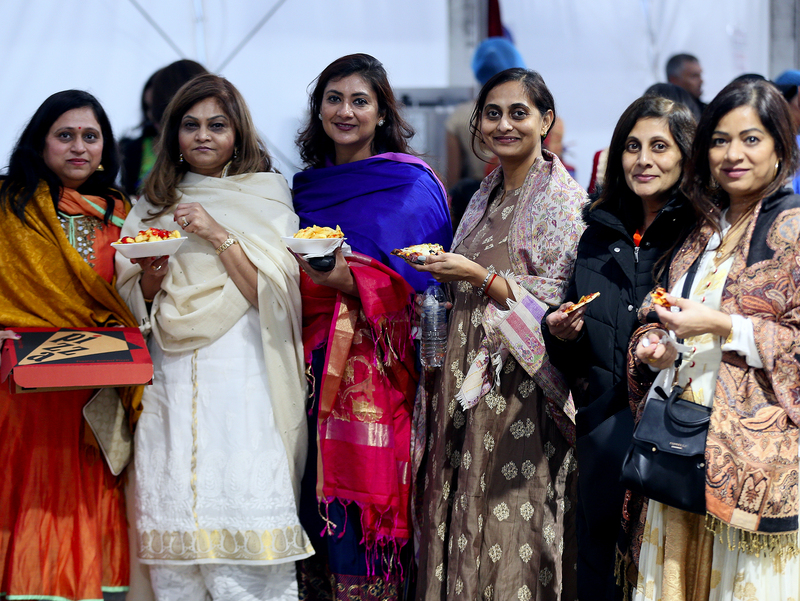 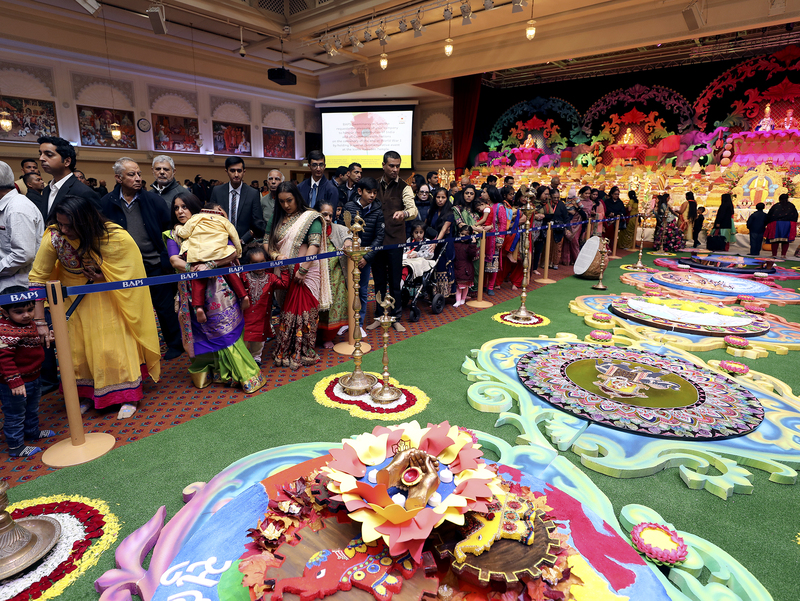 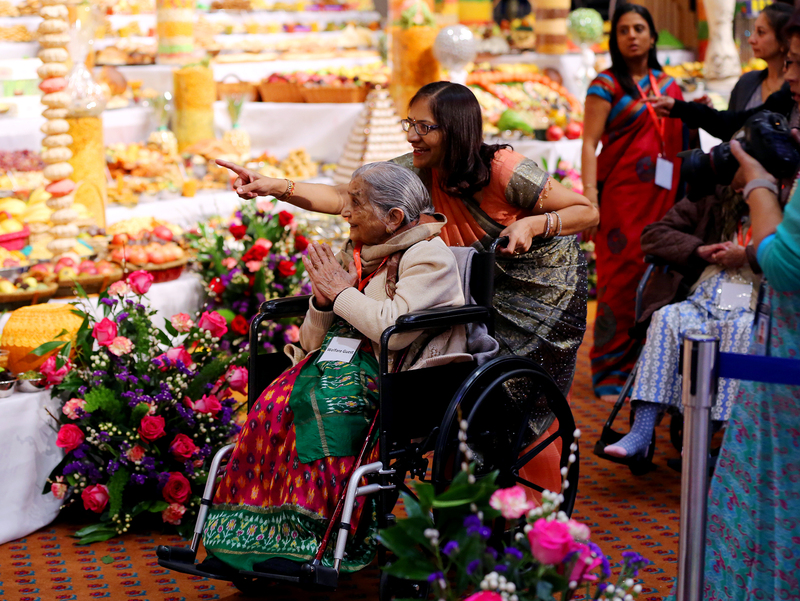 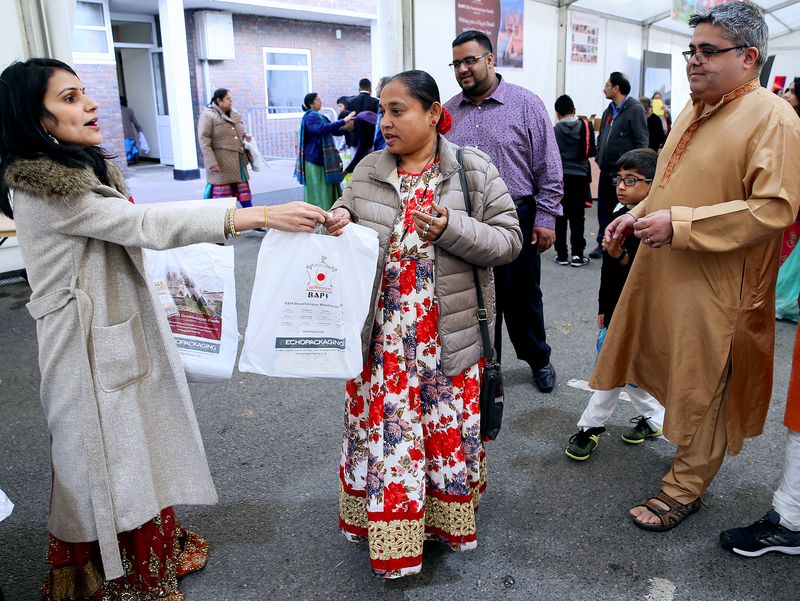 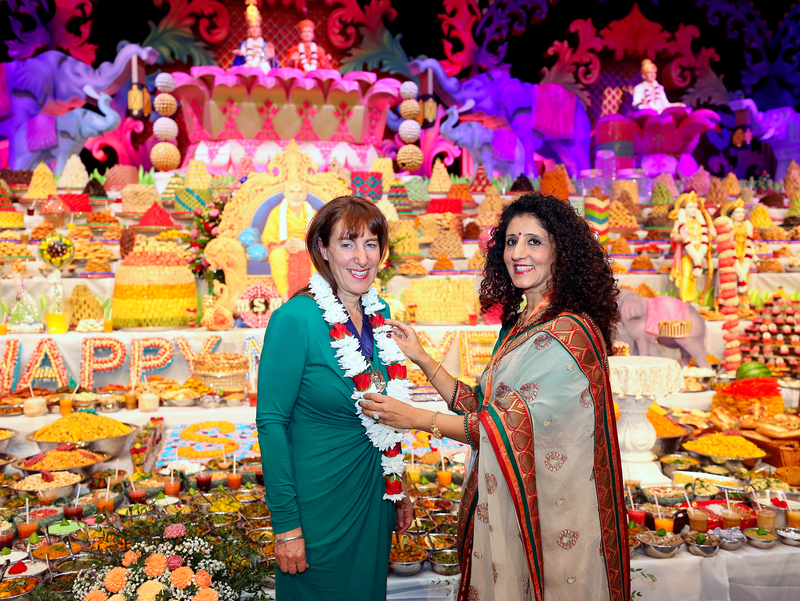 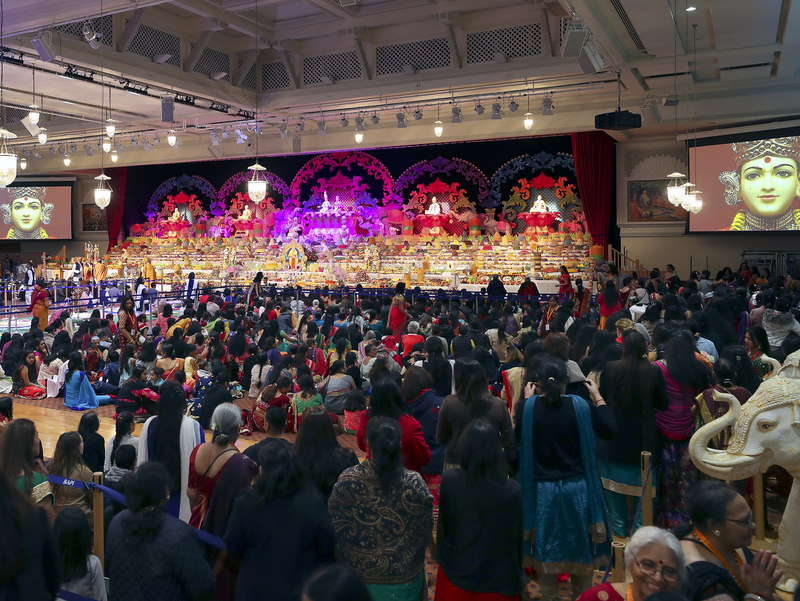 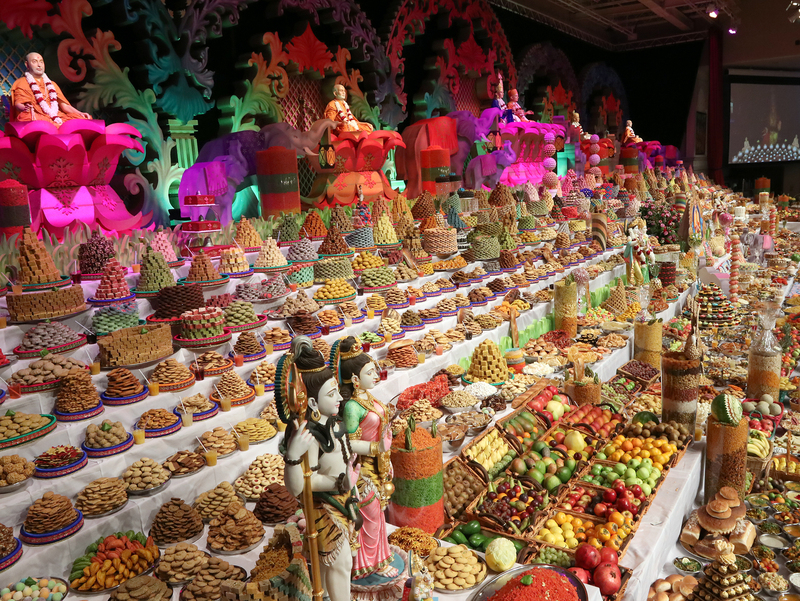 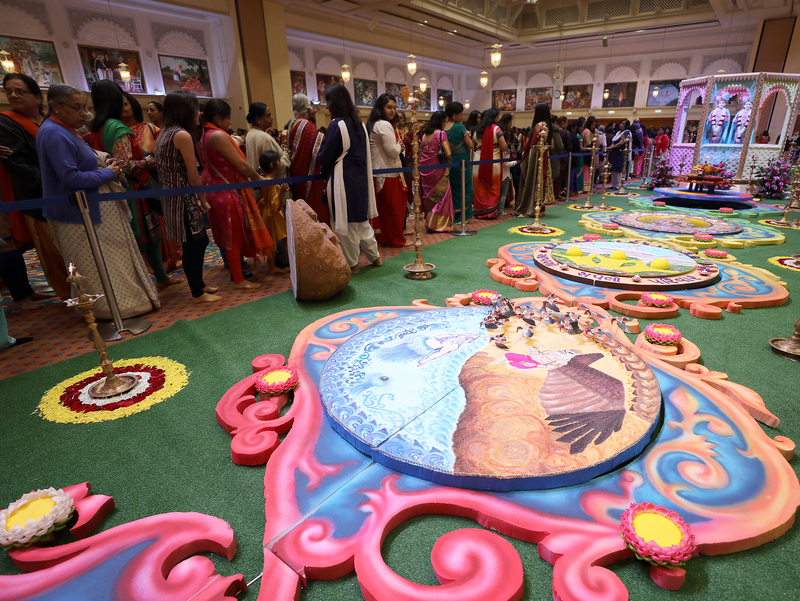 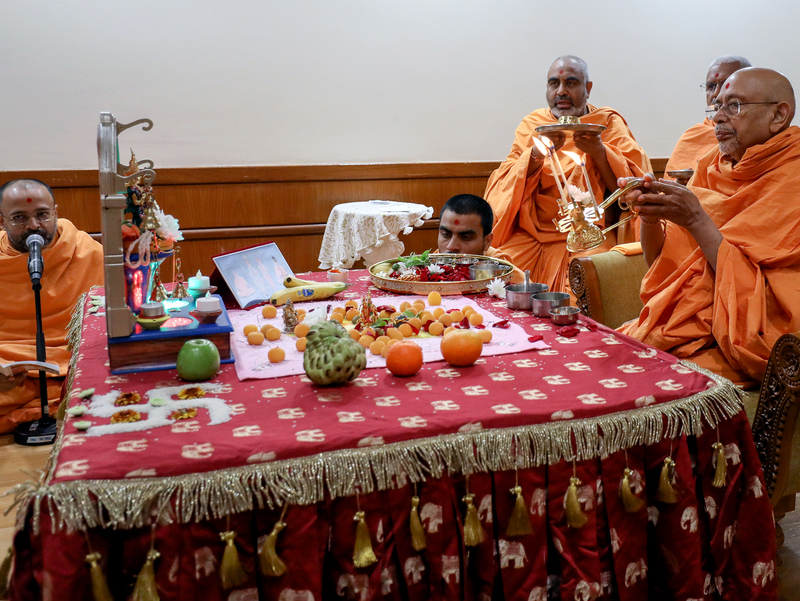 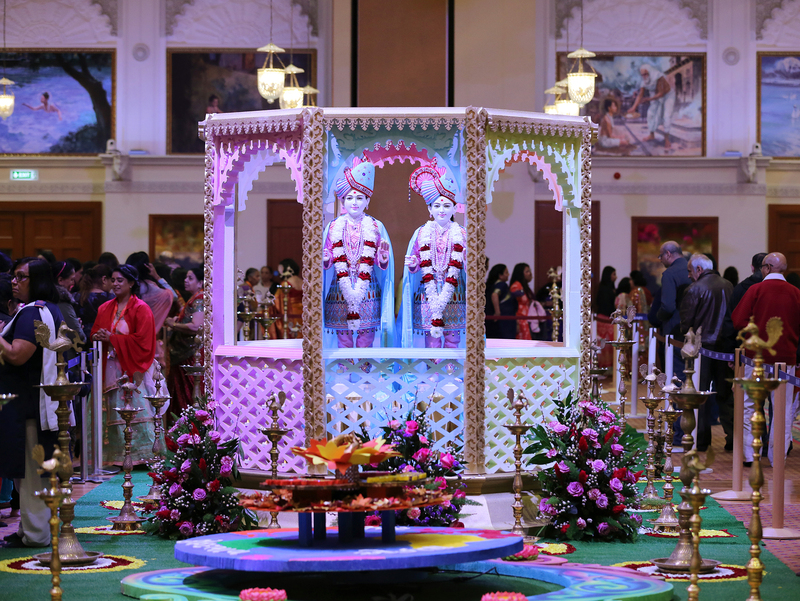 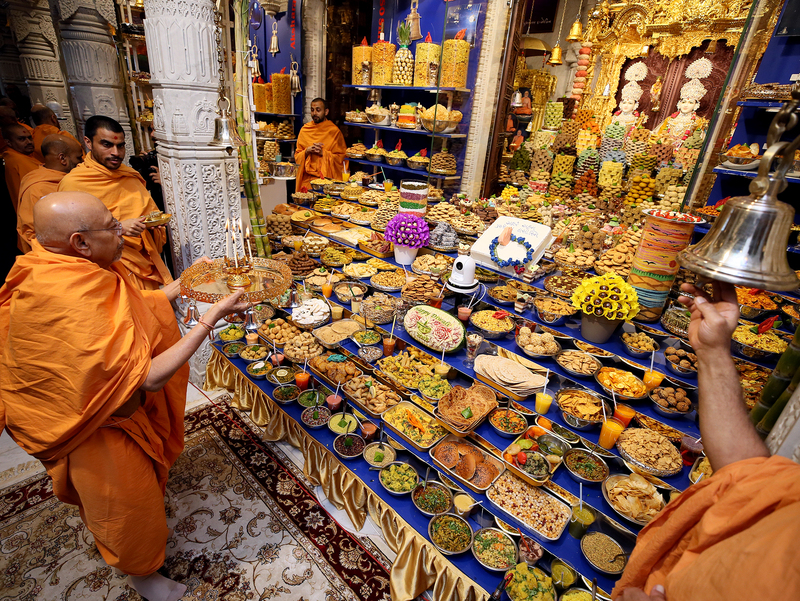 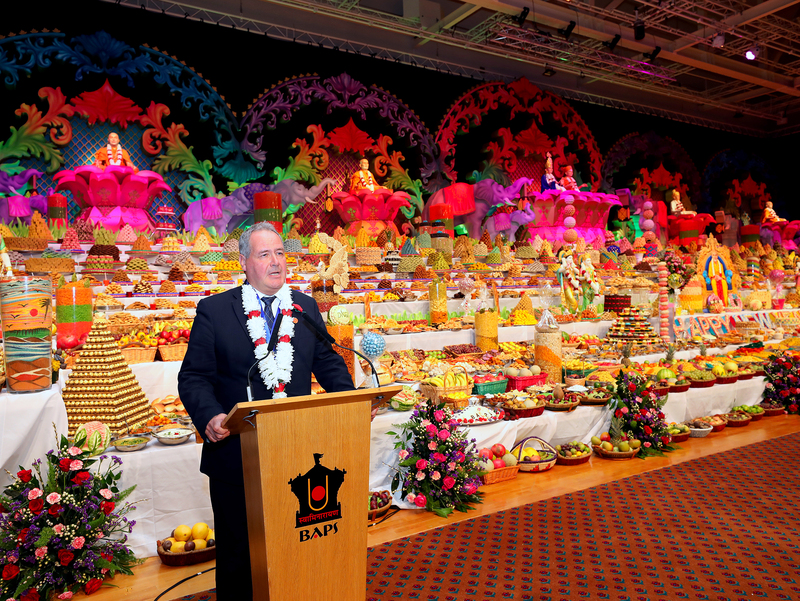 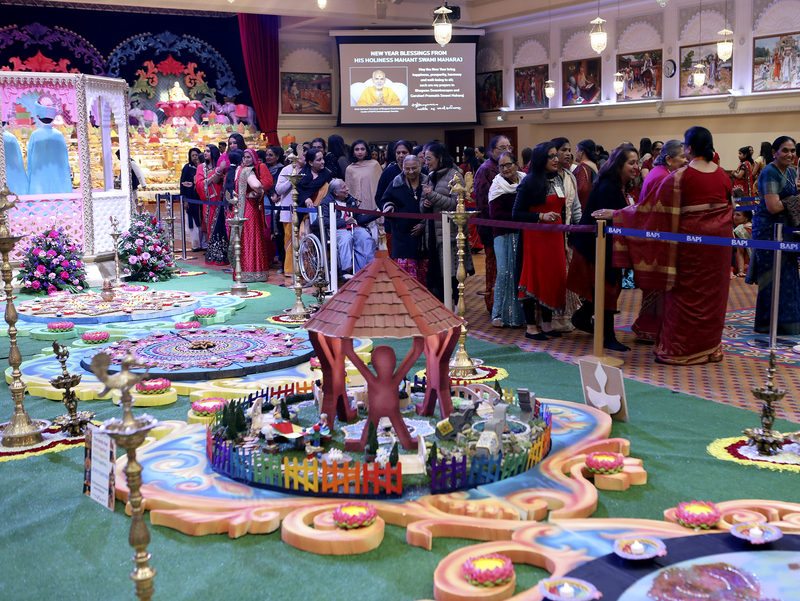 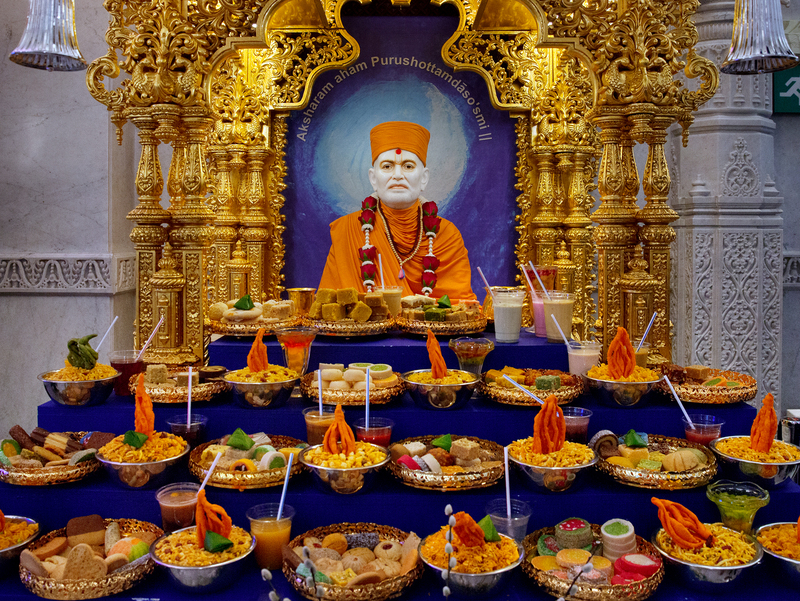 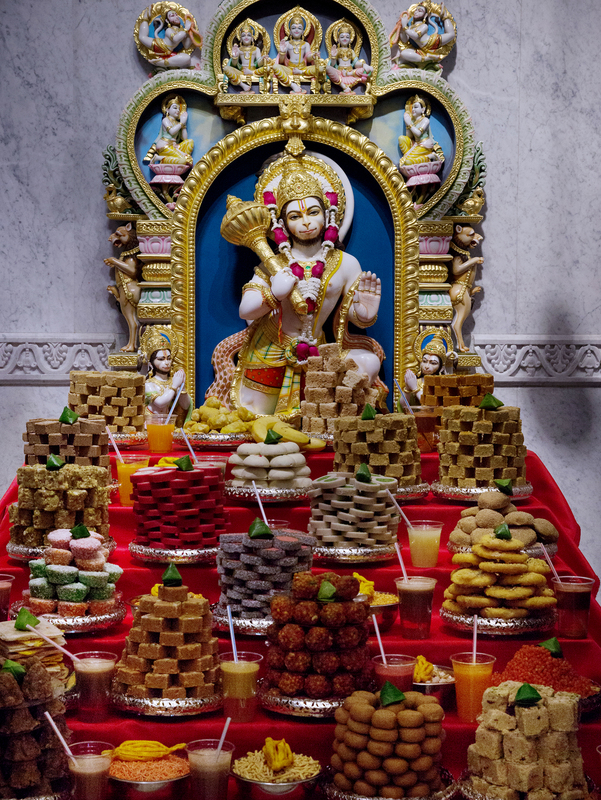 BAPS Shri Swaminarayan Mandir, London, heralded the Hindu New Year, Samvat 2075, on 8 November 2018. 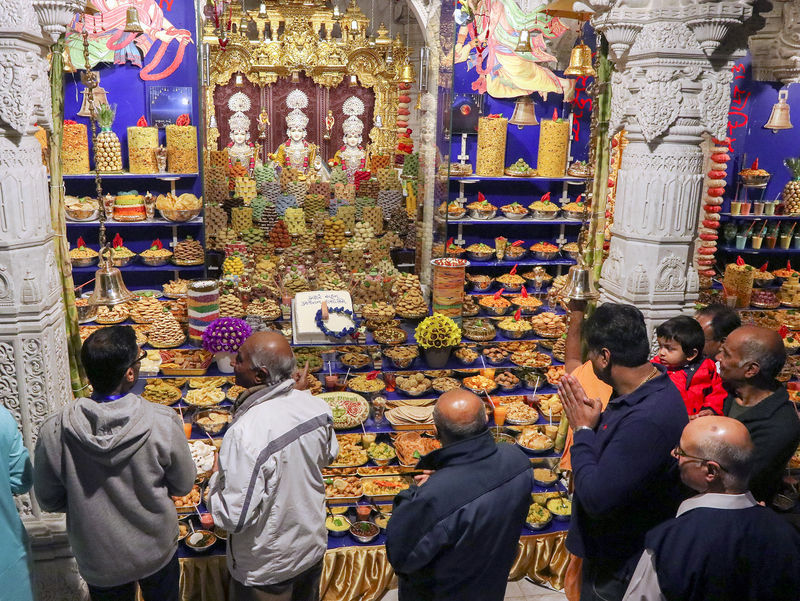 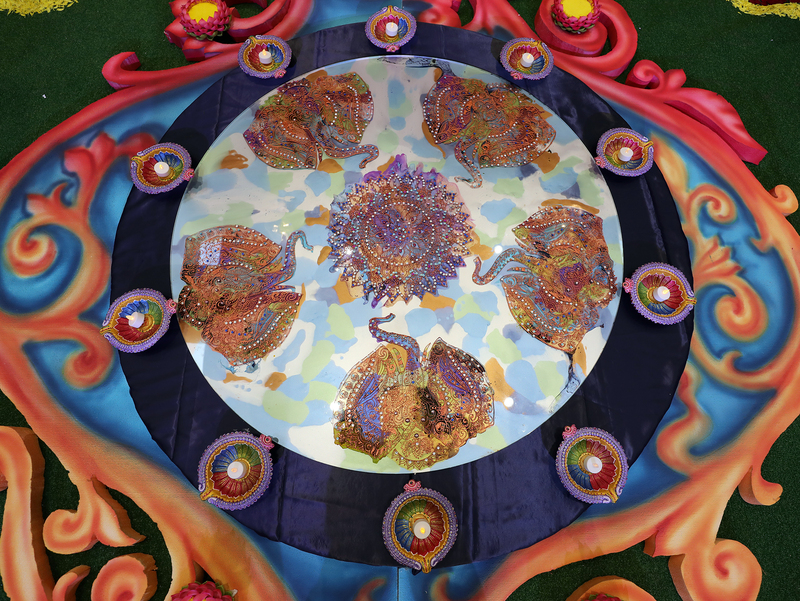 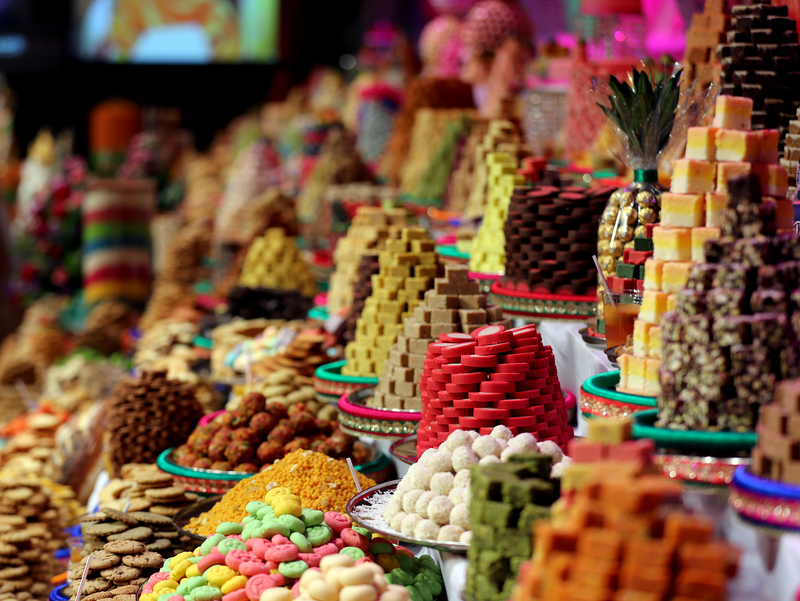 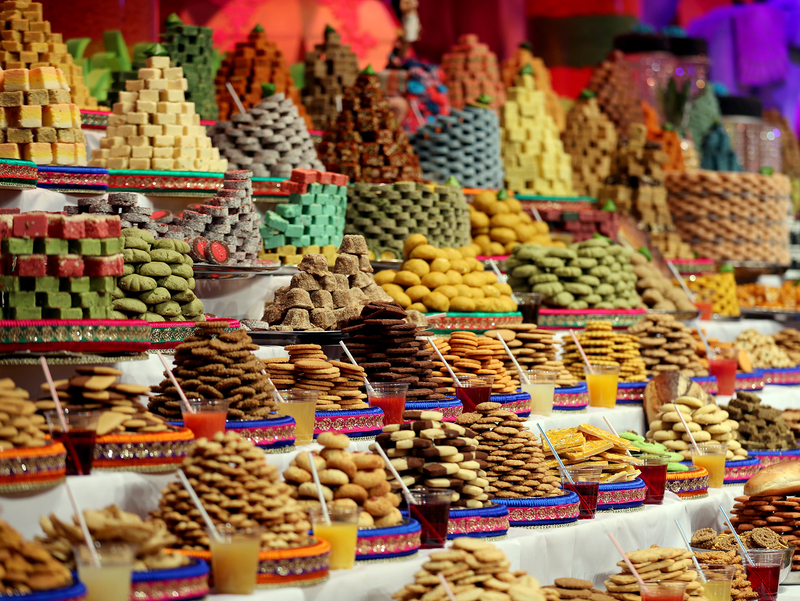 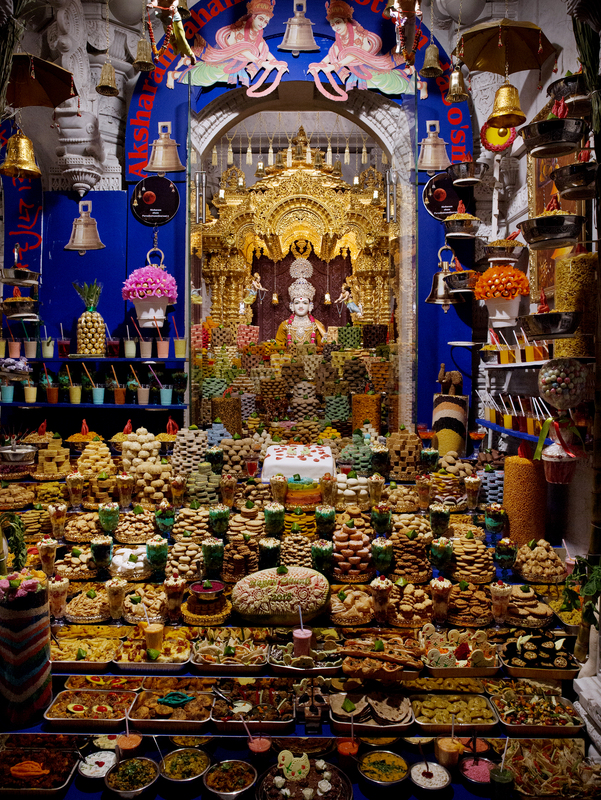 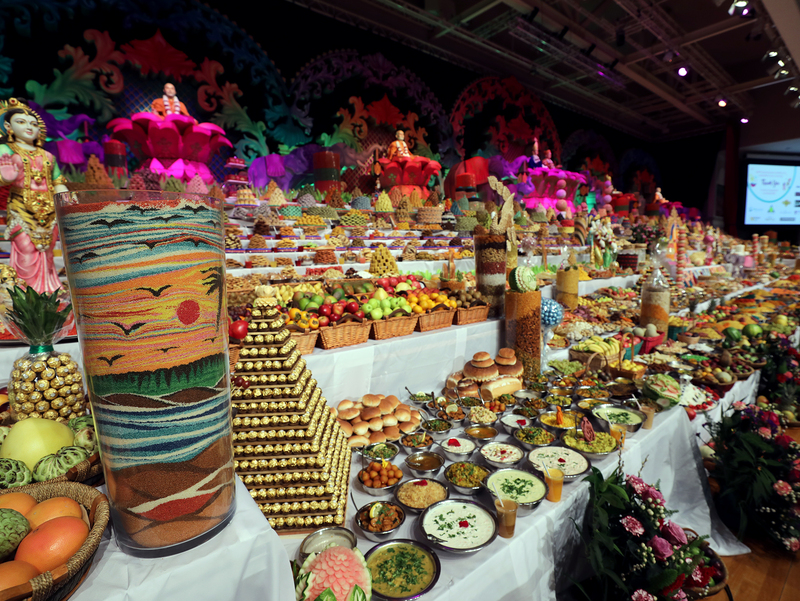 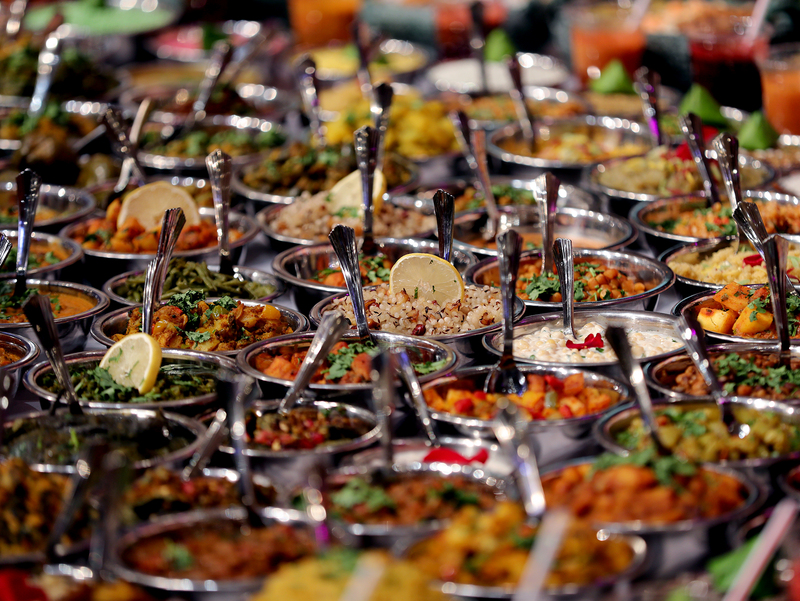 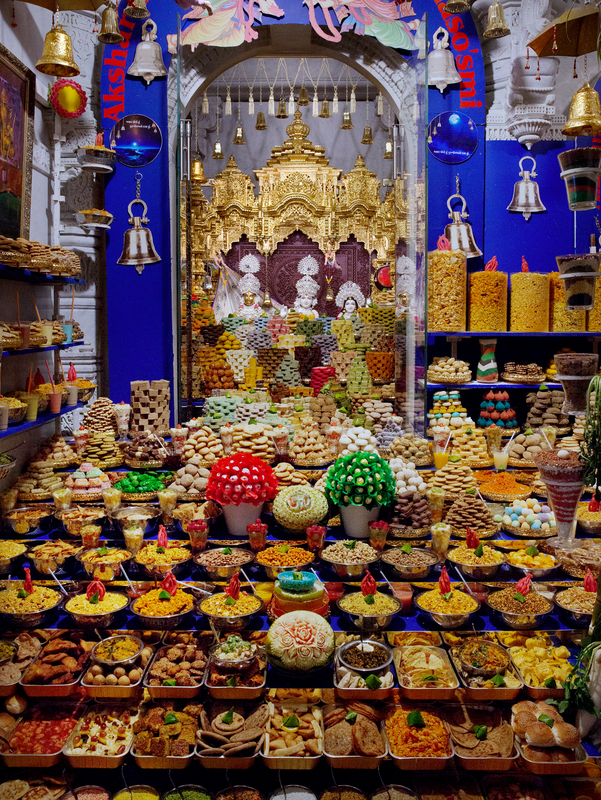 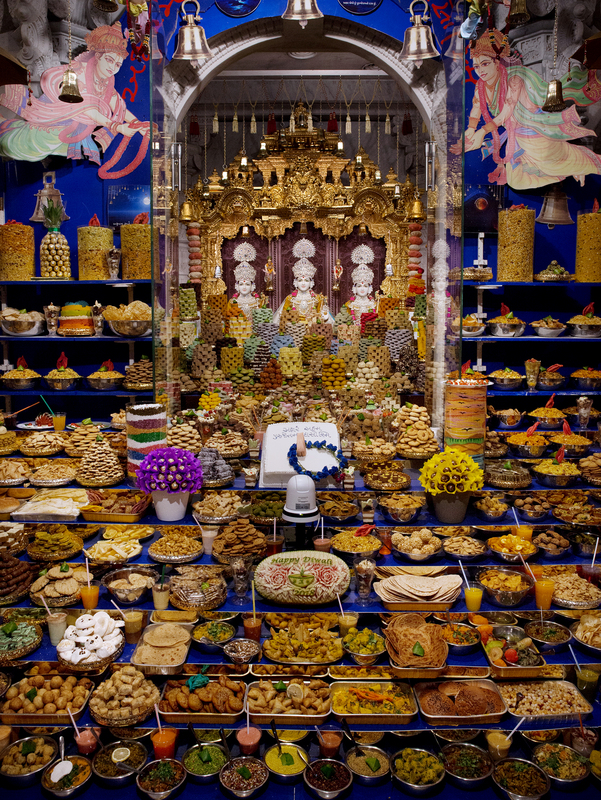 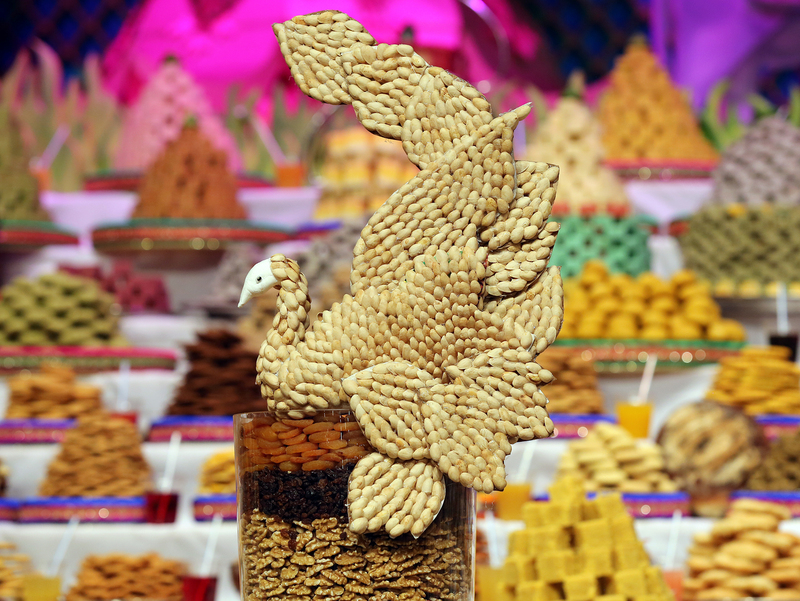 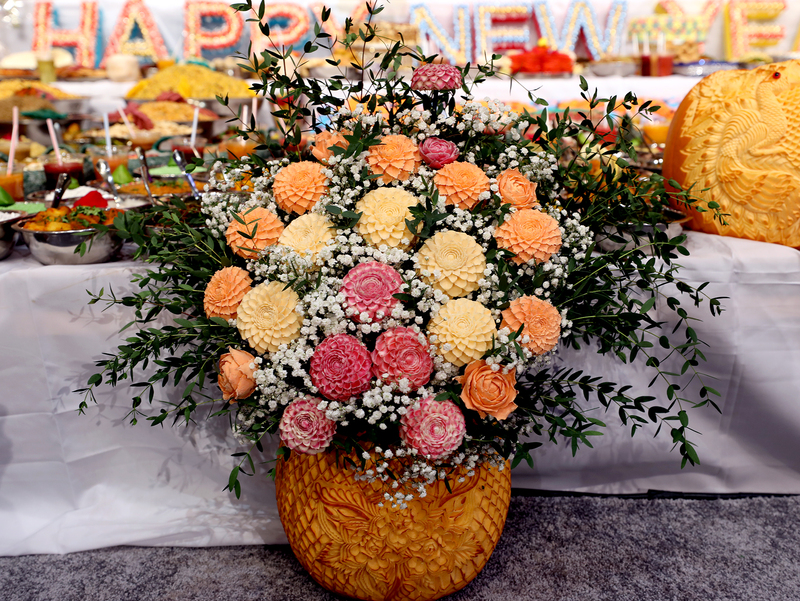 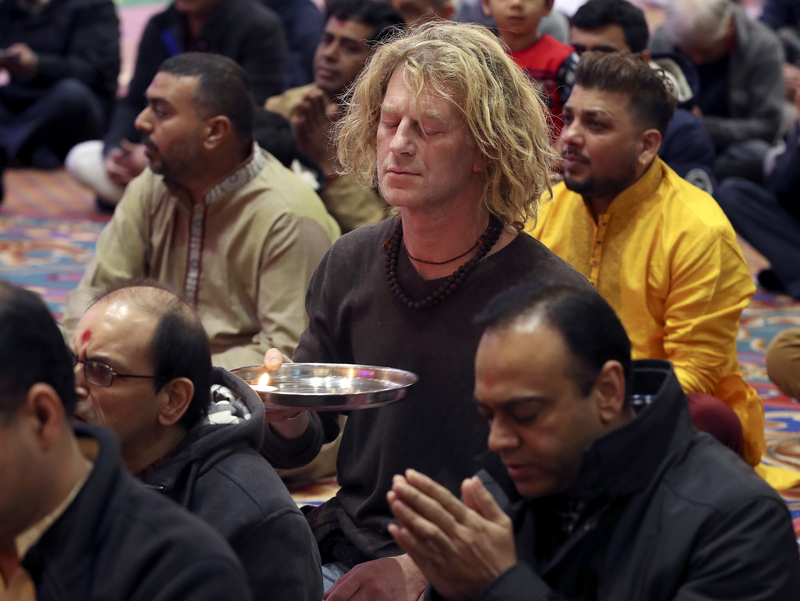 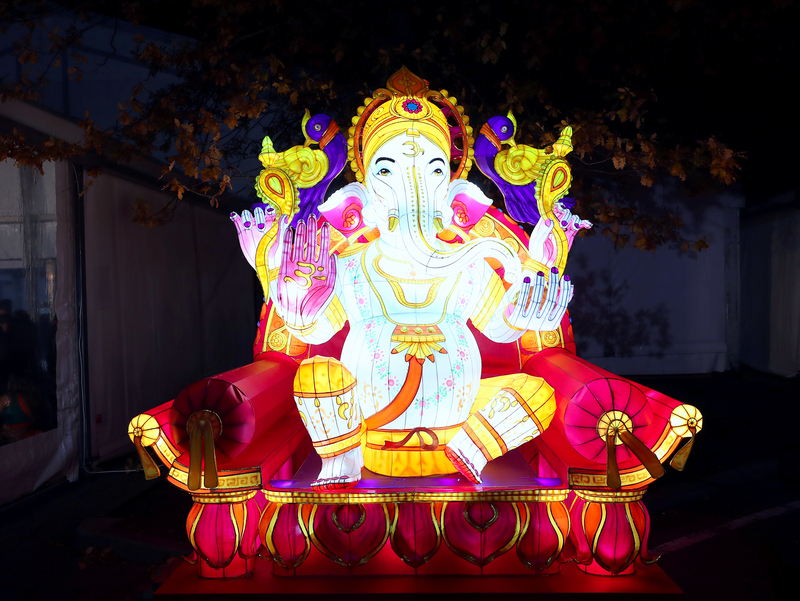 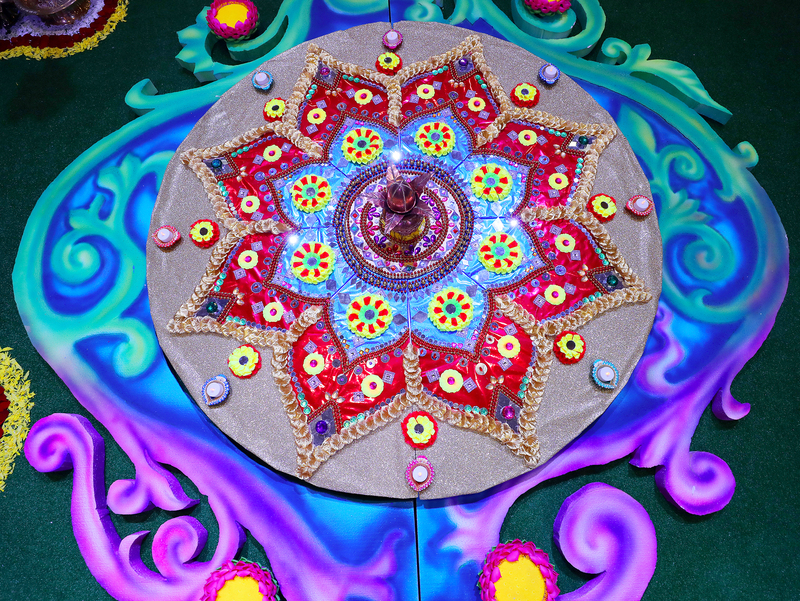 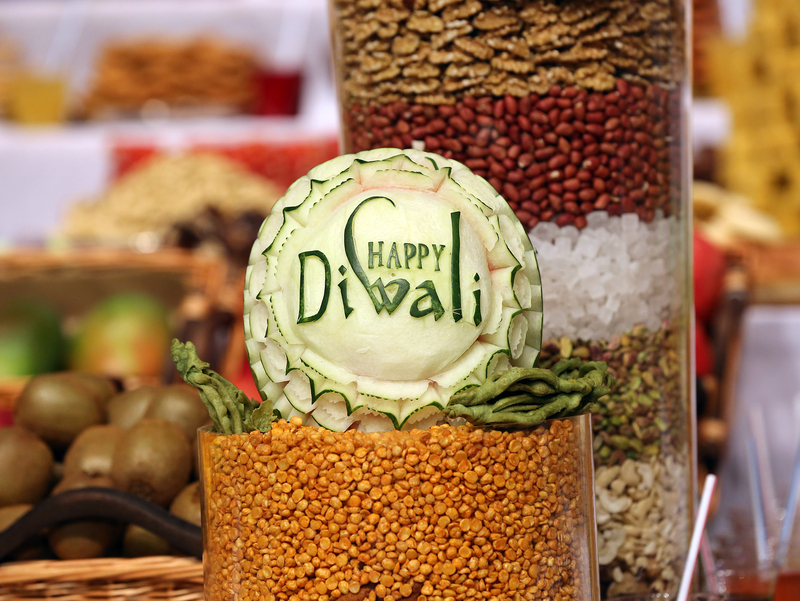 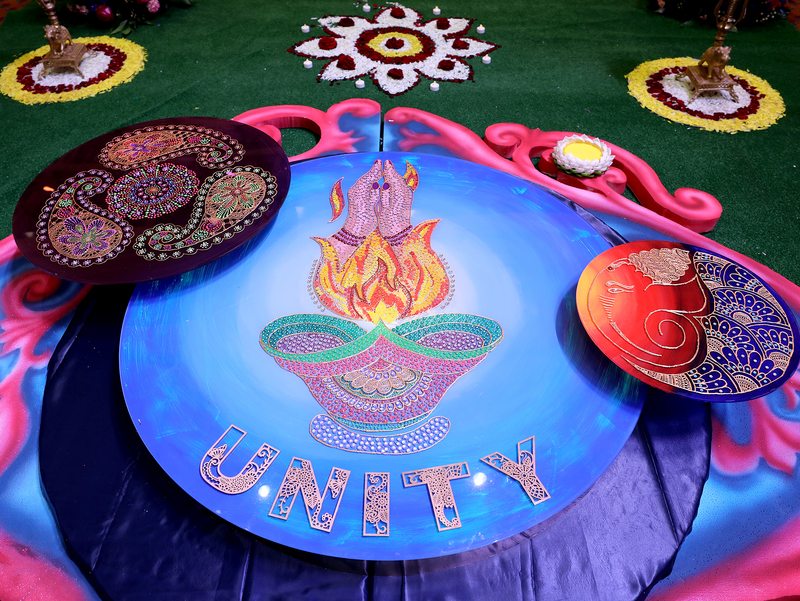 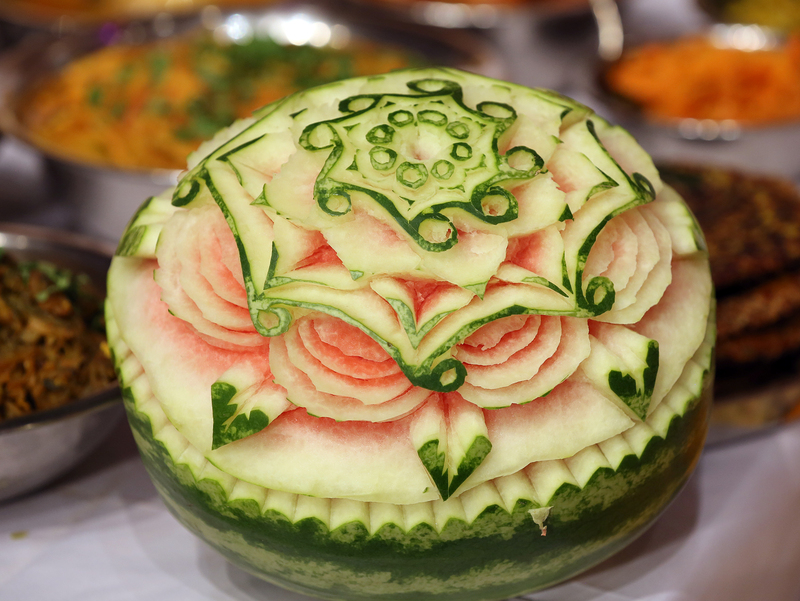 The Hindu New Year follows the day after Diwali and is one of the most auspicious days of the Hindu calendar, celebrated joyously with gifts, feasting and merriment. 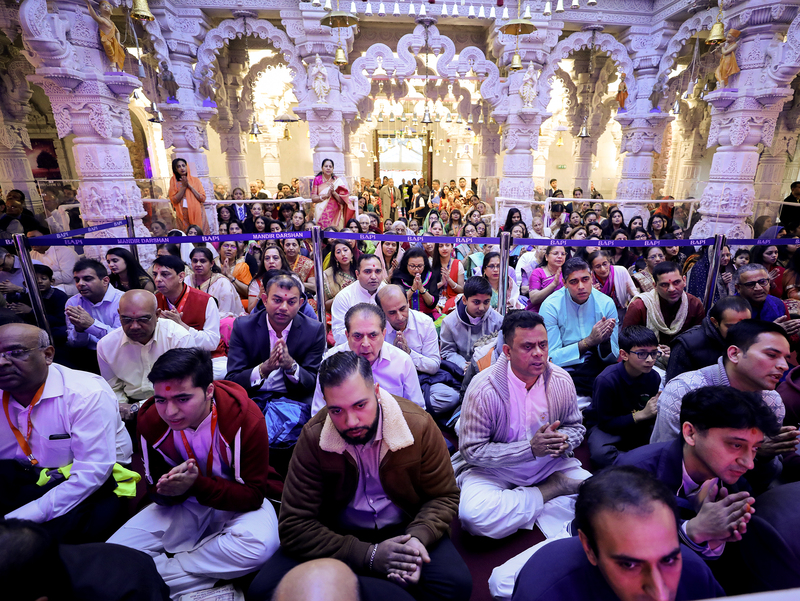 The first arti ceremony of the new year was performed at 5.30am, followed with a special mahapuja praying for peace, prosperity and harmony around the world.